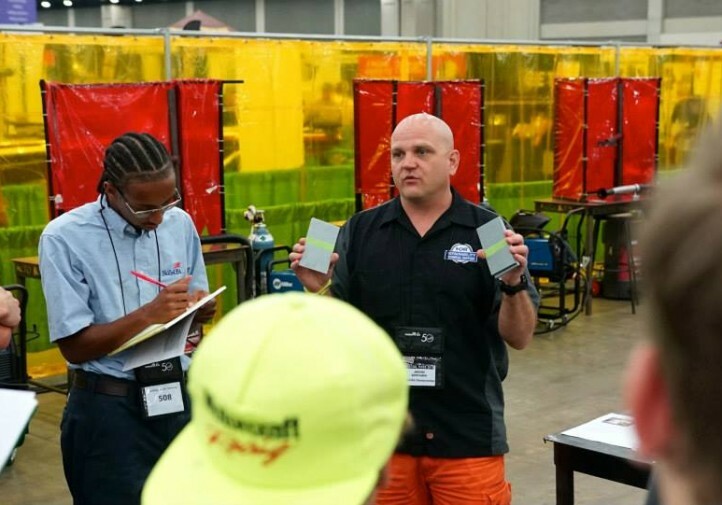 Whatever you tech instructors are doing in Colorado, keep it up. 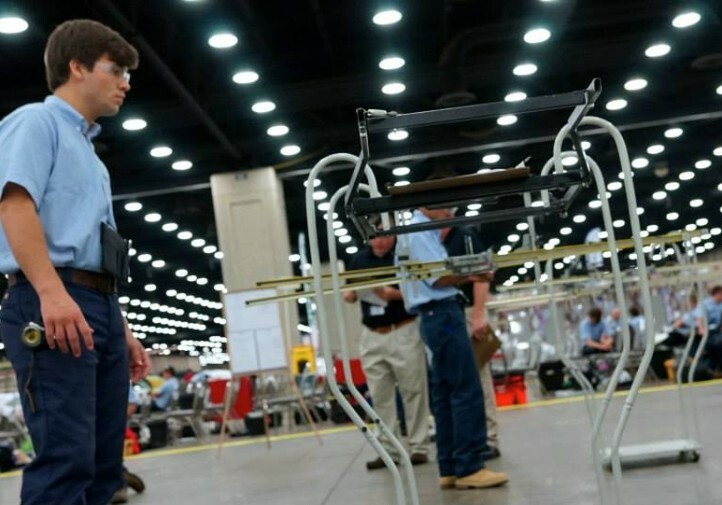 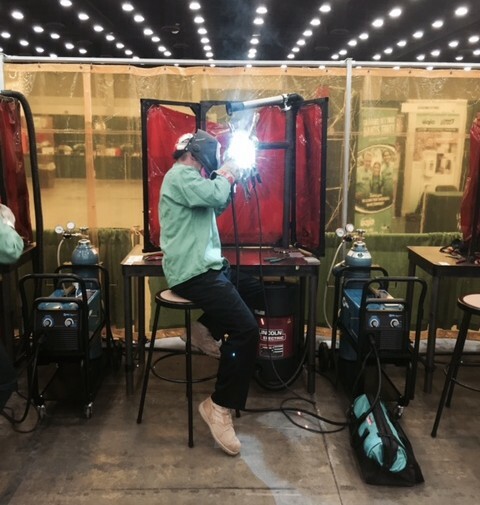 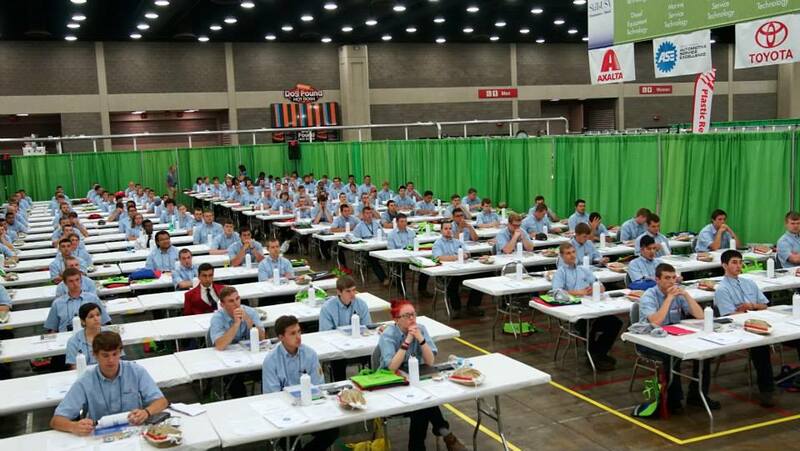 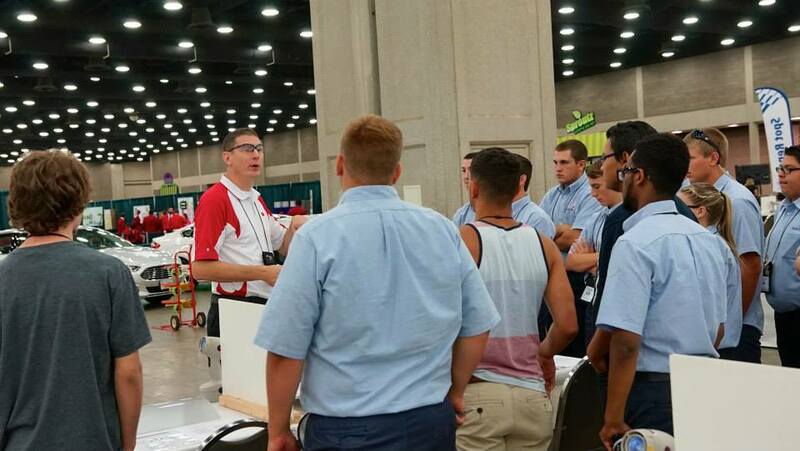 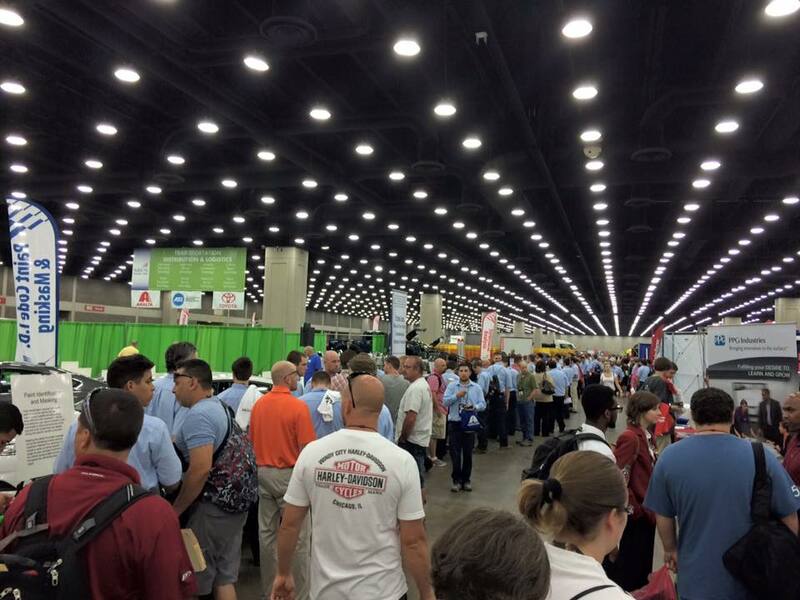 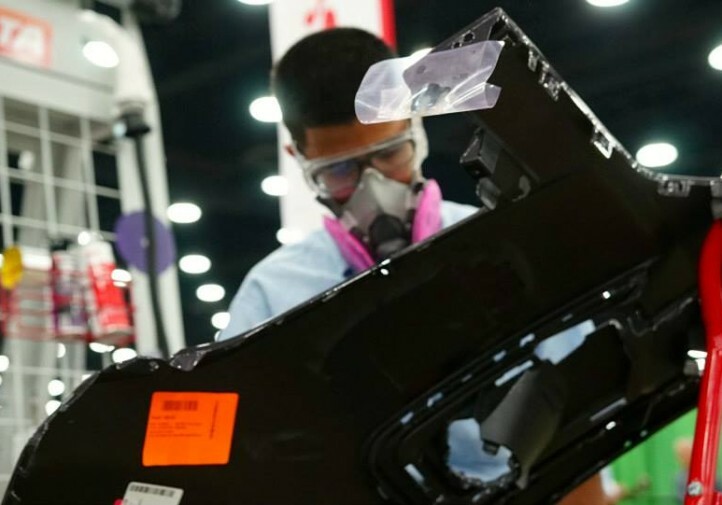 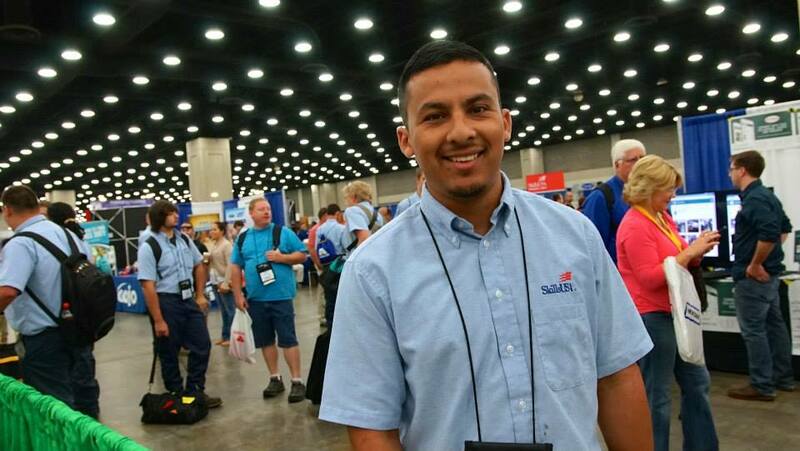 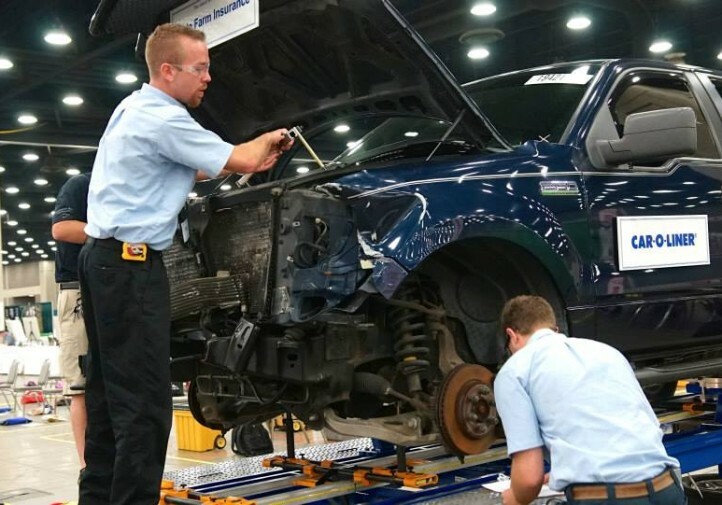 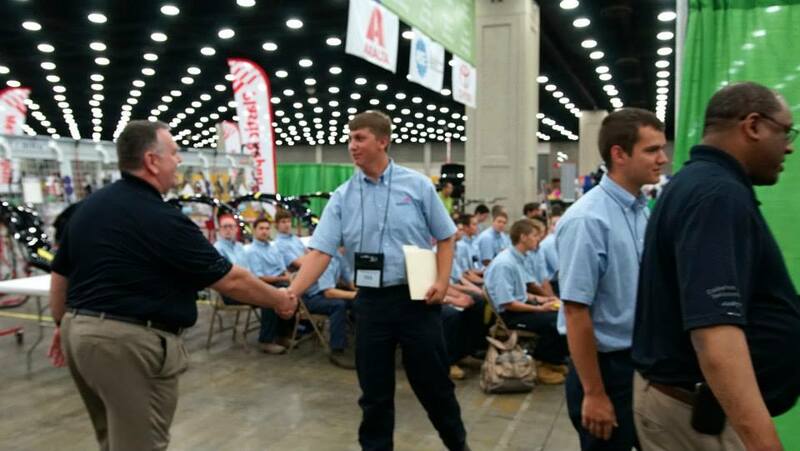 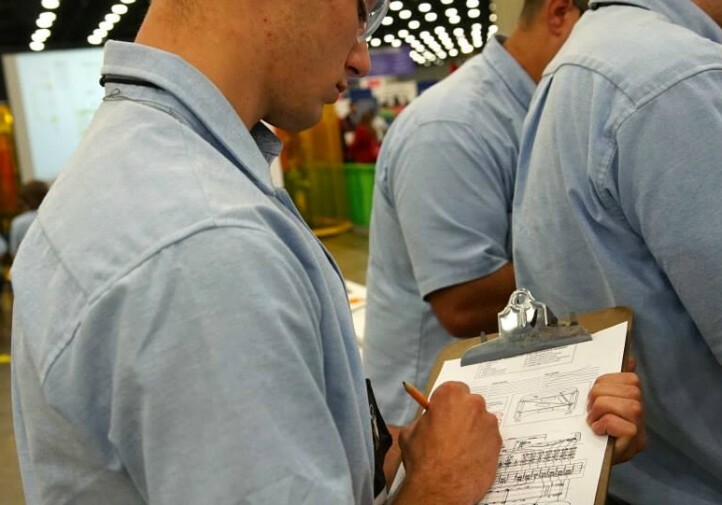 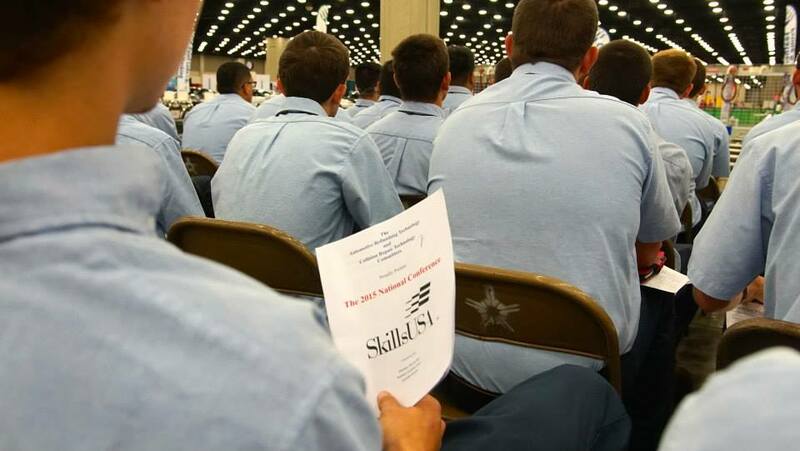 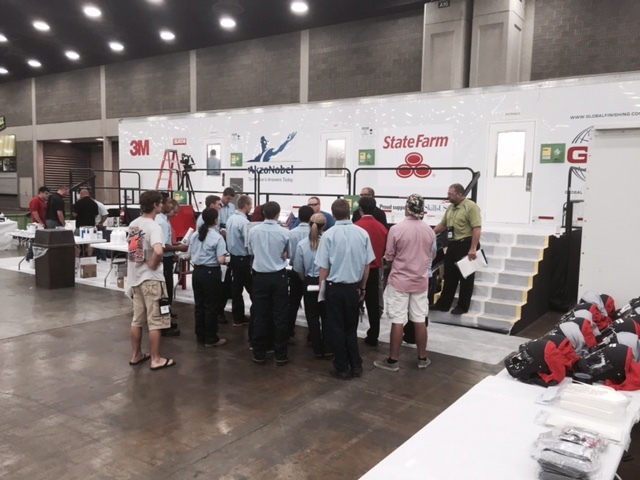 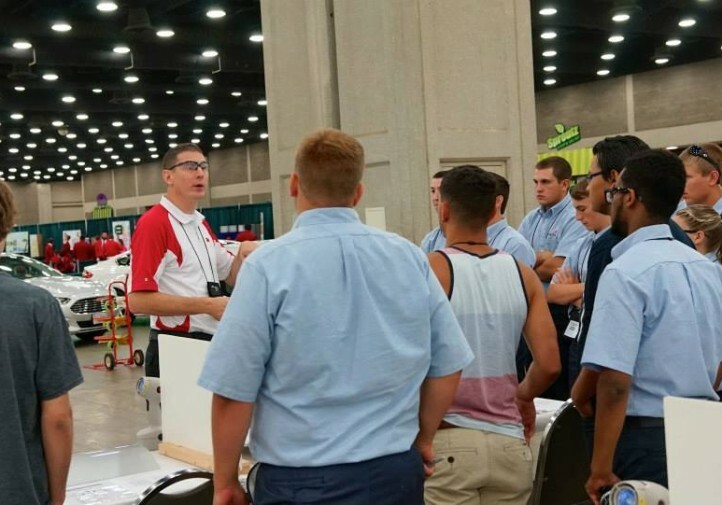 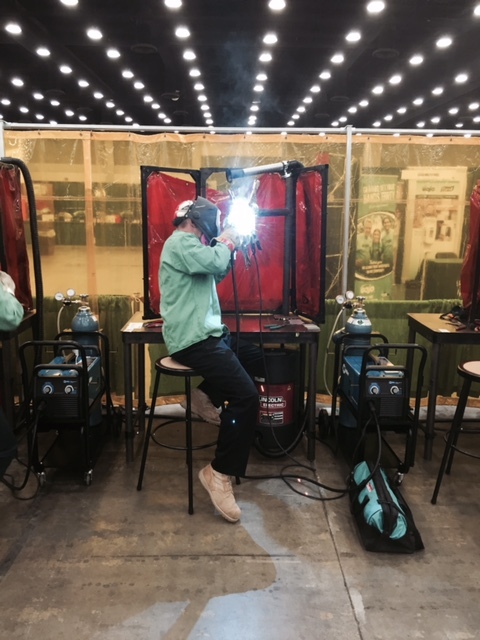 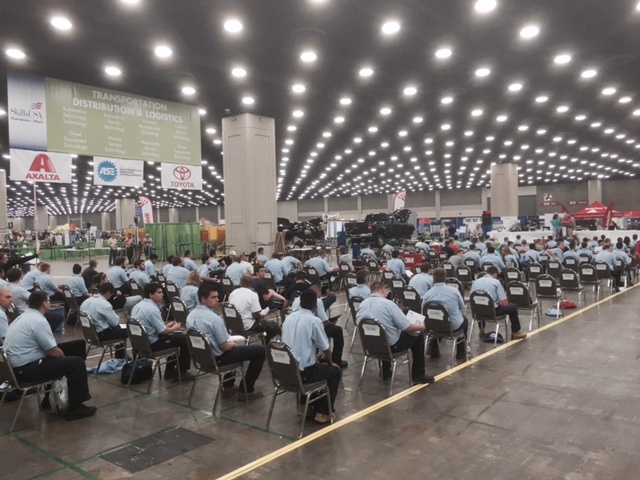 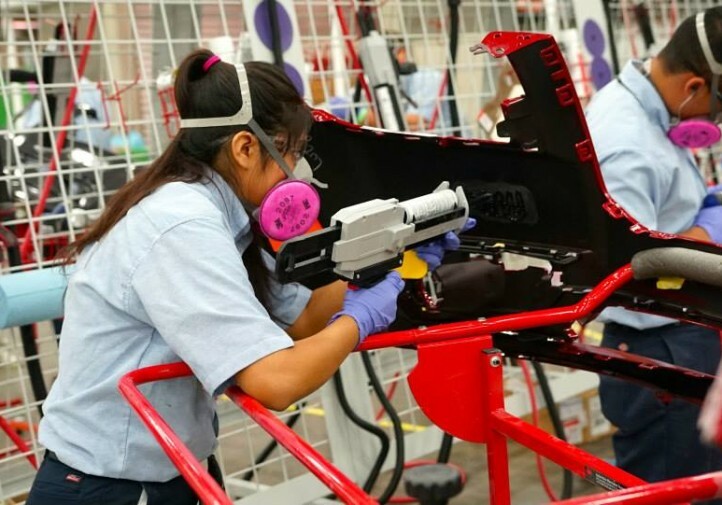 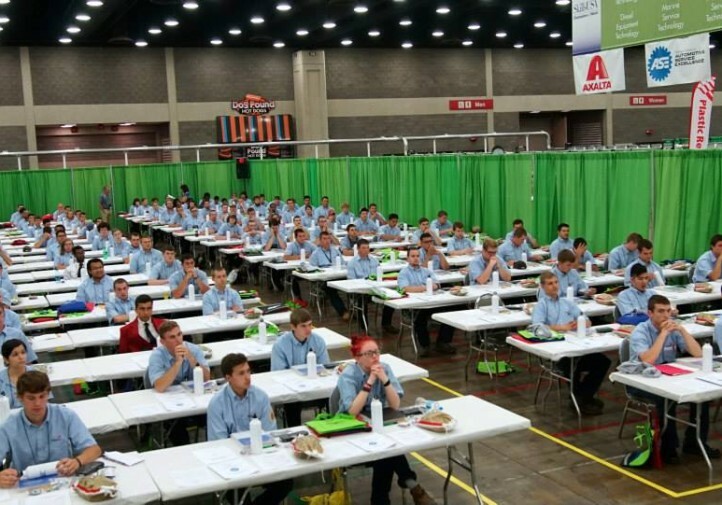 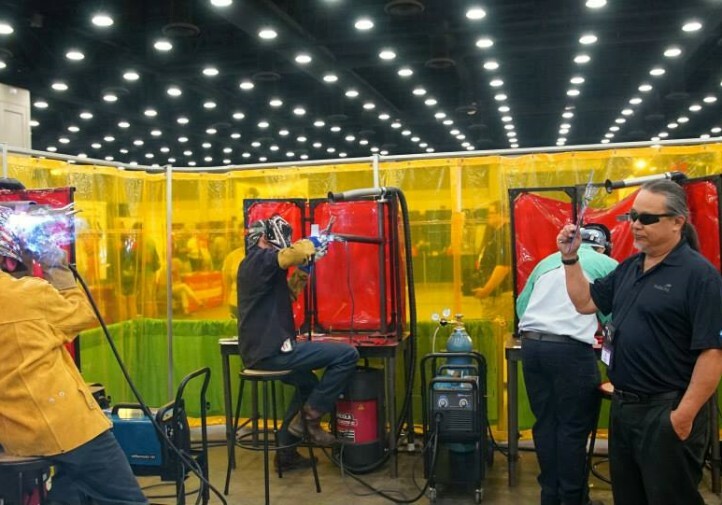 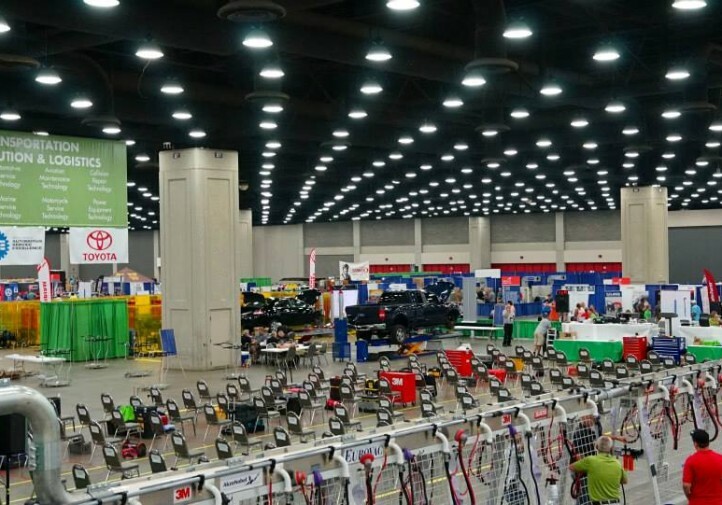 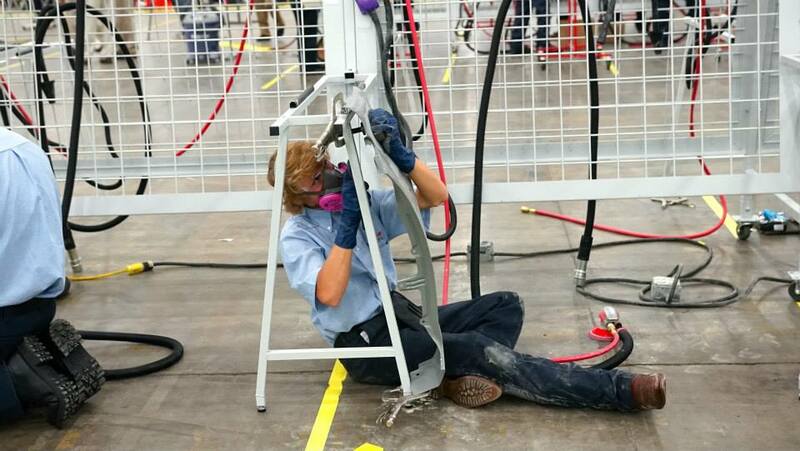 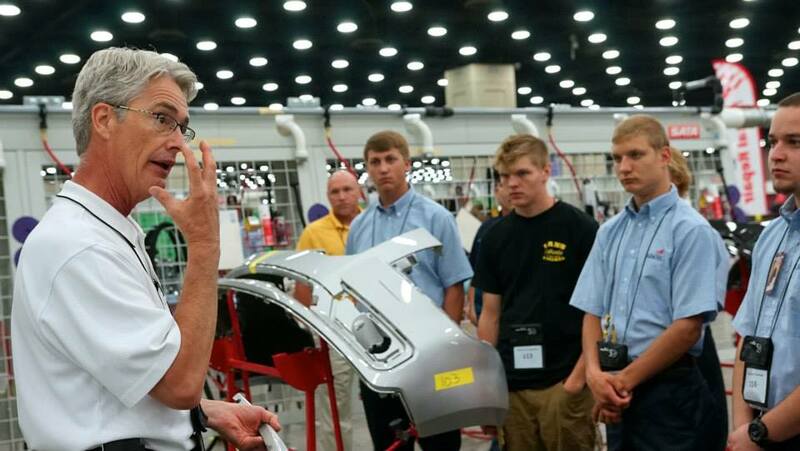 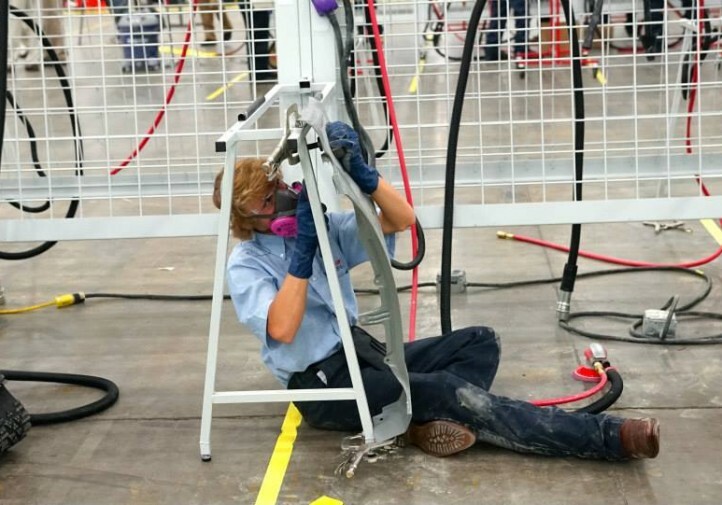 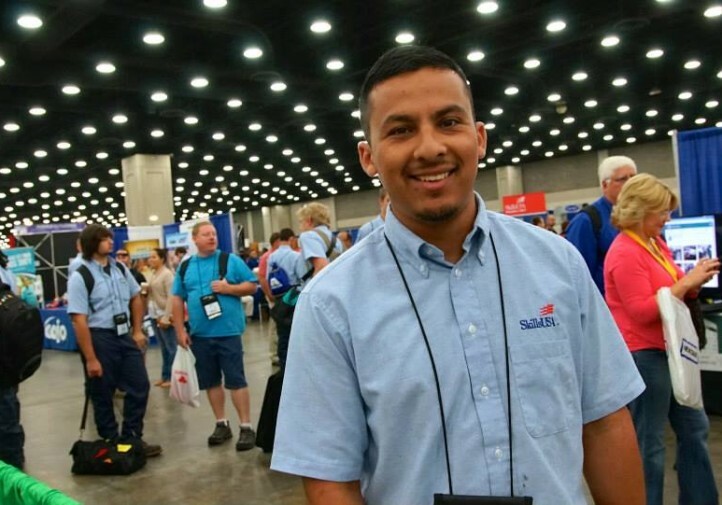 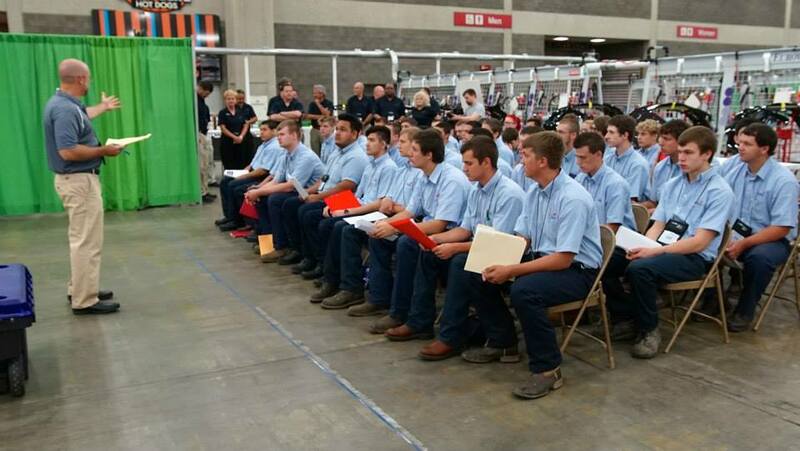 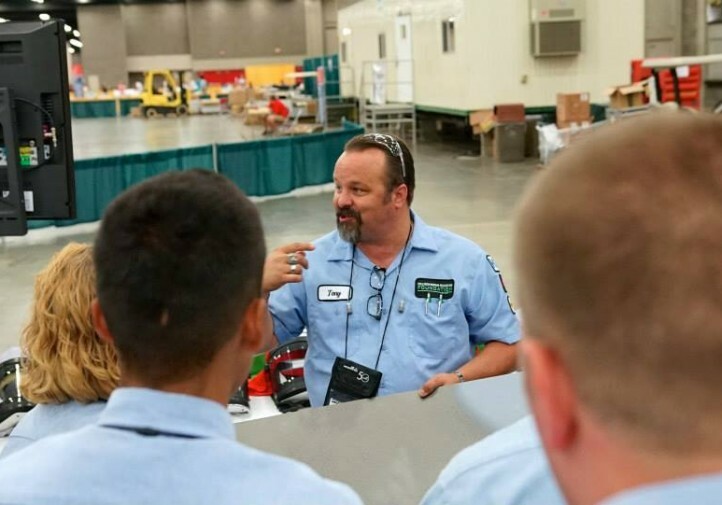 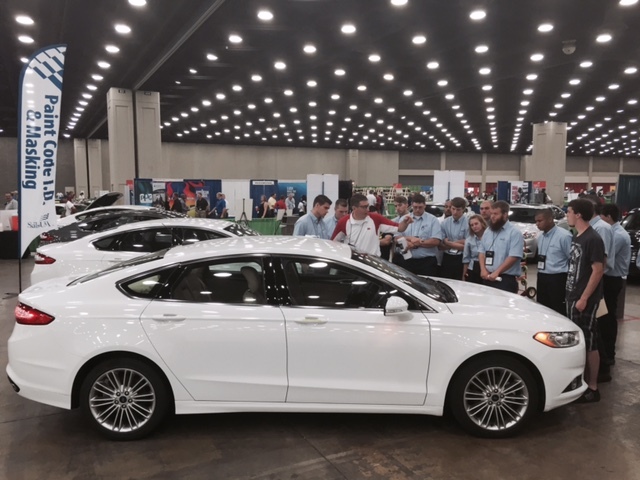 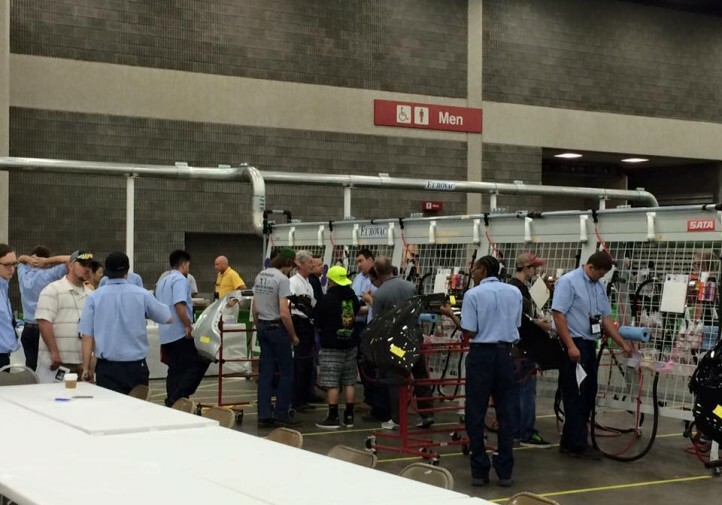 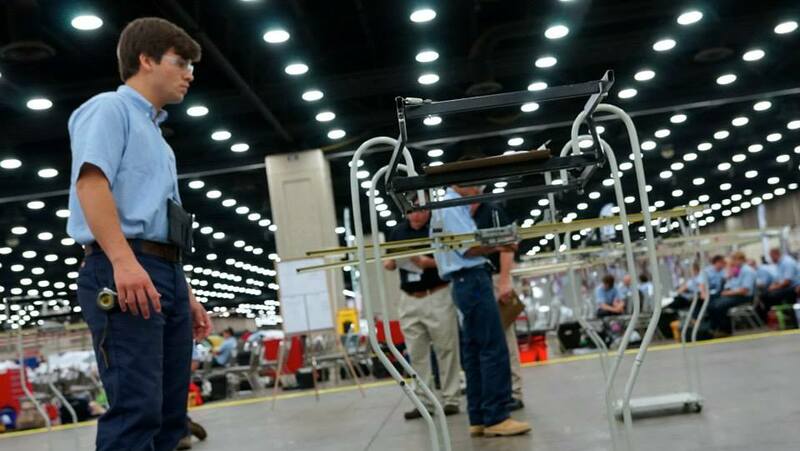 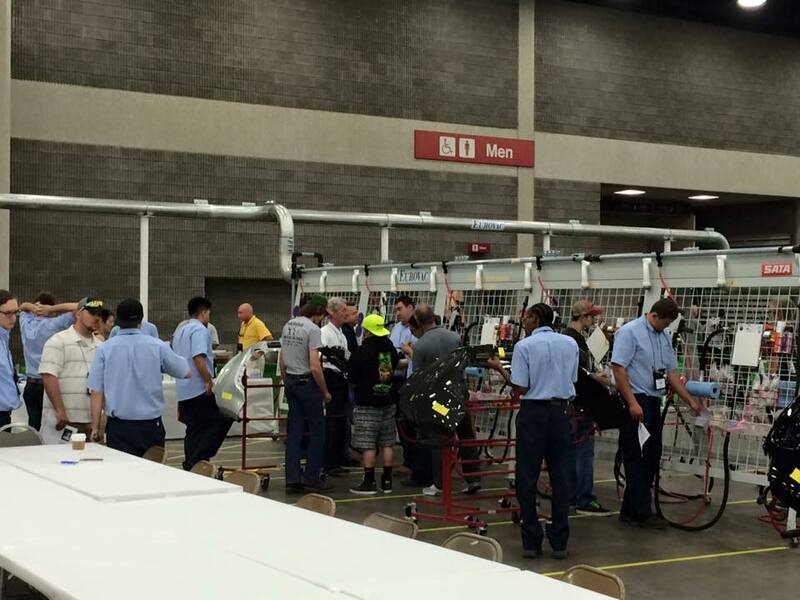 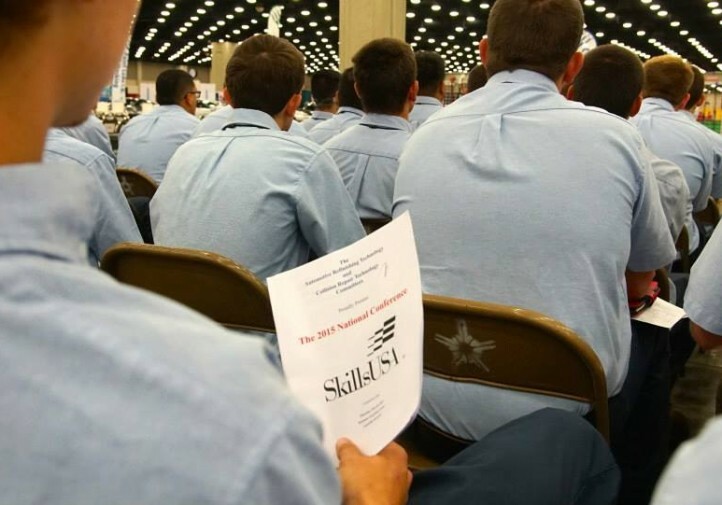 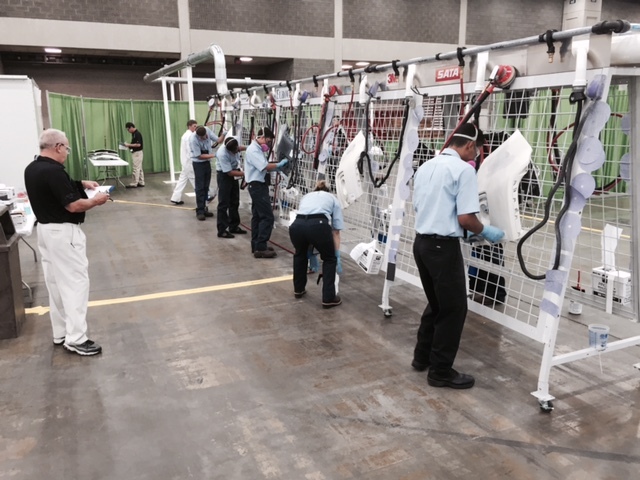 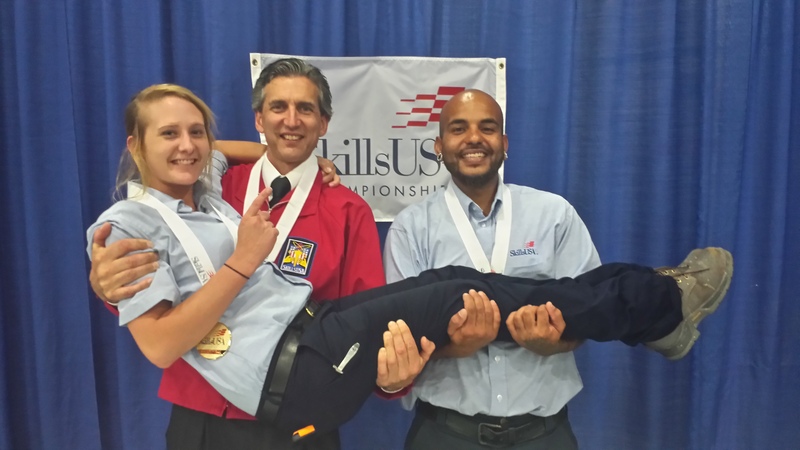 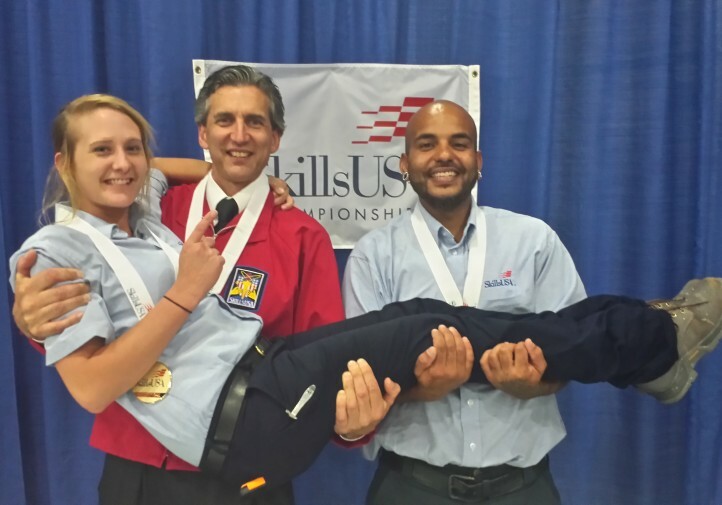 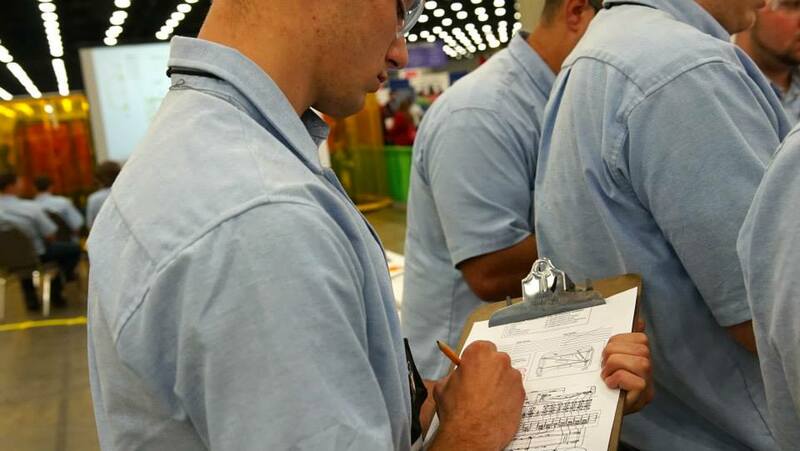 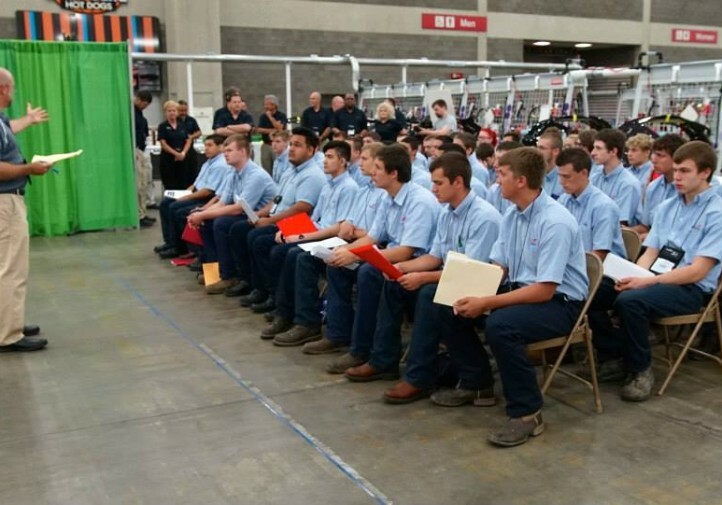 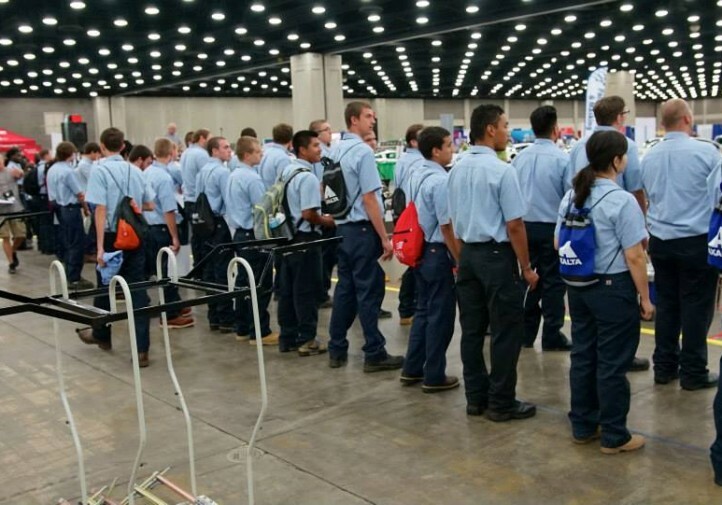 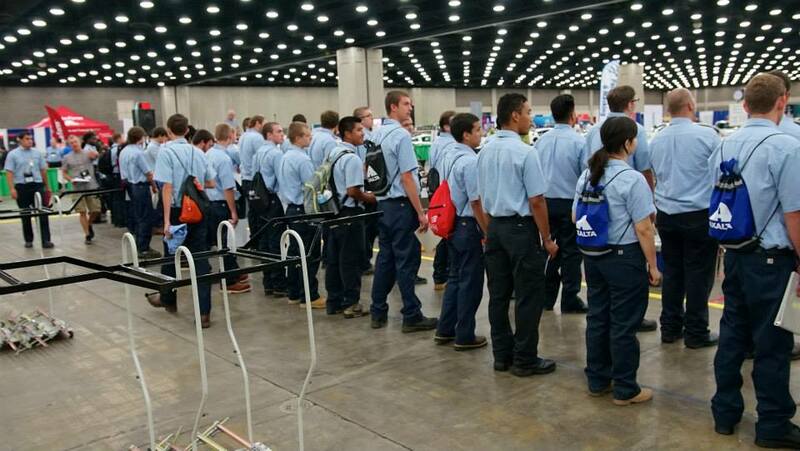 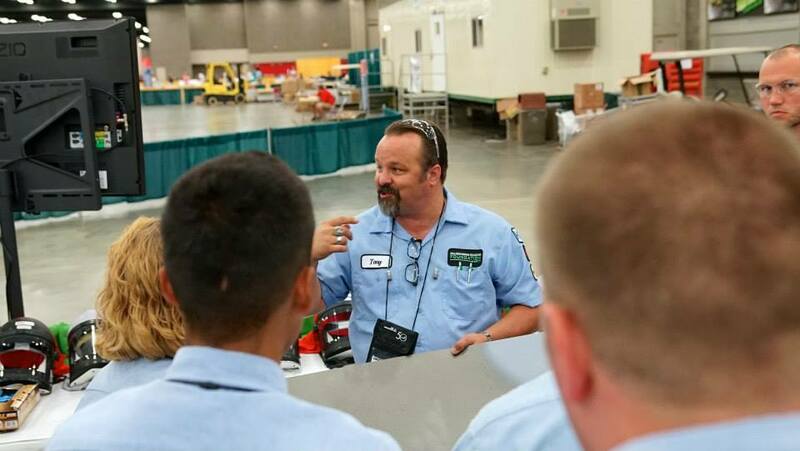 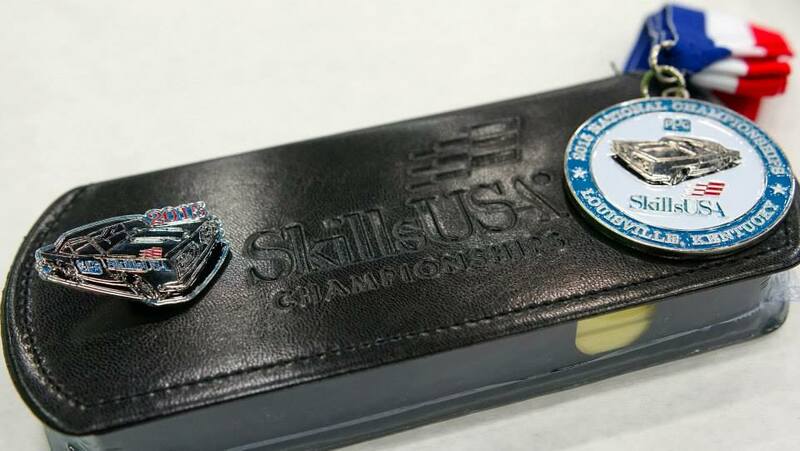 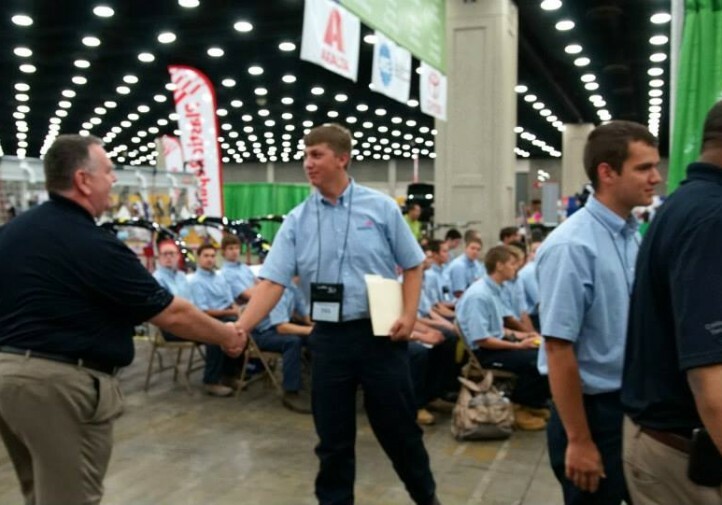 High schoolers from the Centennial State took gold in both the collision repair and automotive refinishing competitions last week at SkillsUSA. 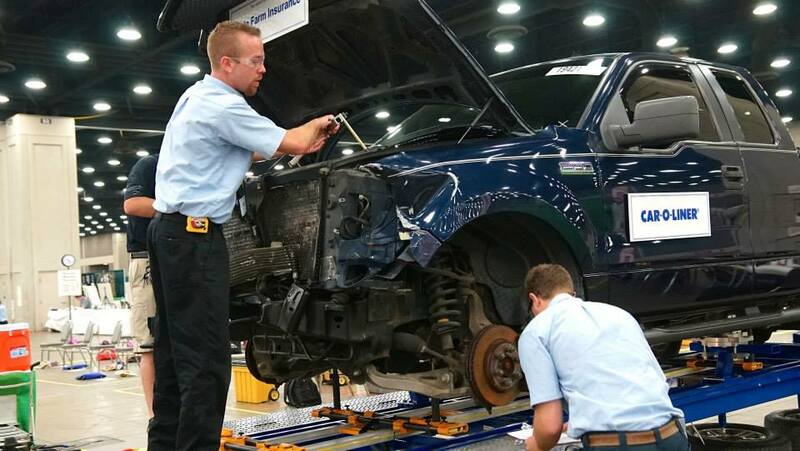 Lakewood, Colo., resident Luke Sabey of Warren Occupational Tech Center, took the collision repair tech title, and Benjamin Falconer, a Greeley, Colo., resident attending Aims Community College’s Windsor, Colo., high school program won automotive refinishing. 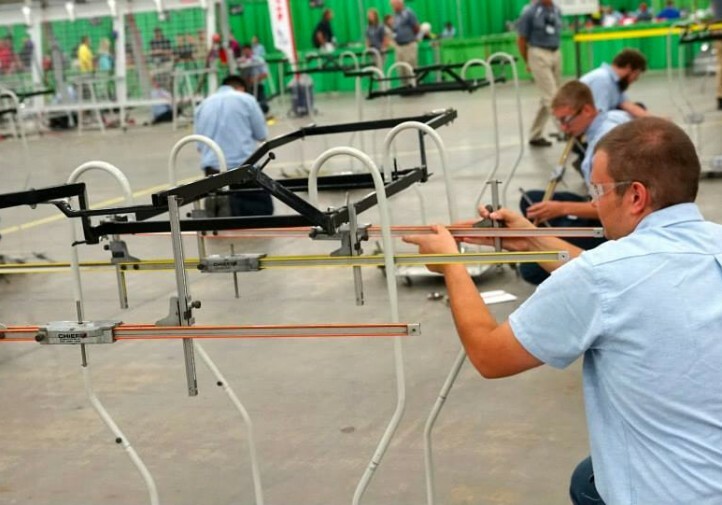 Post-secondary champions were Knoxville’s Jedidiah Long of the Tennessee College of Applied Tech (repair) and Saint Louis resident Amanda Baker of Ranken Tech College (refinishing). 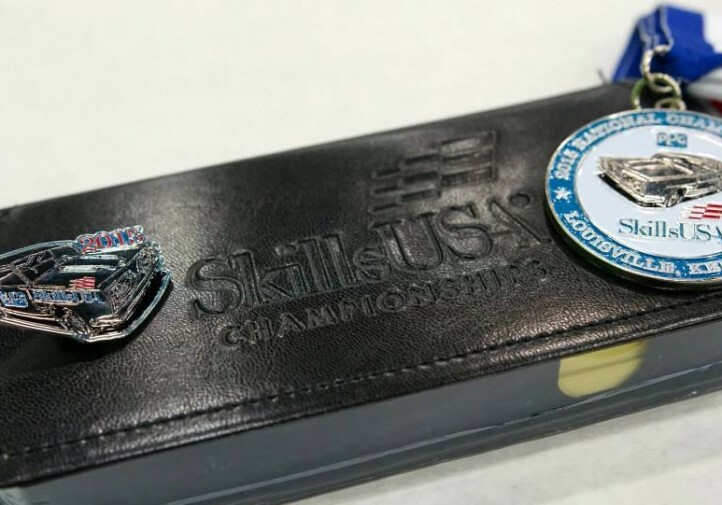 Besides SkillsUSA medals, all four won $1,250 tool scholarships from the Society of Collision Repair Specialists and the March Taylor Memorial Fund. 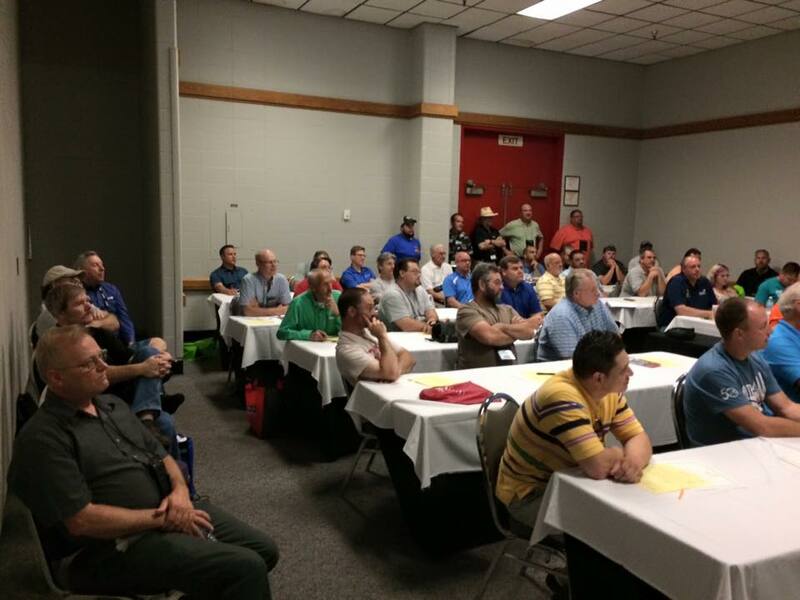 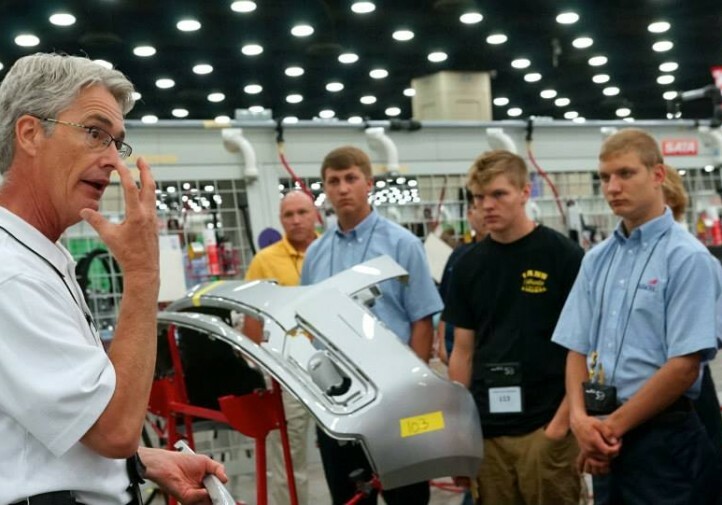 Their schools will receive a year membership to SCRS, allowing them to stay current on collision industry developments. 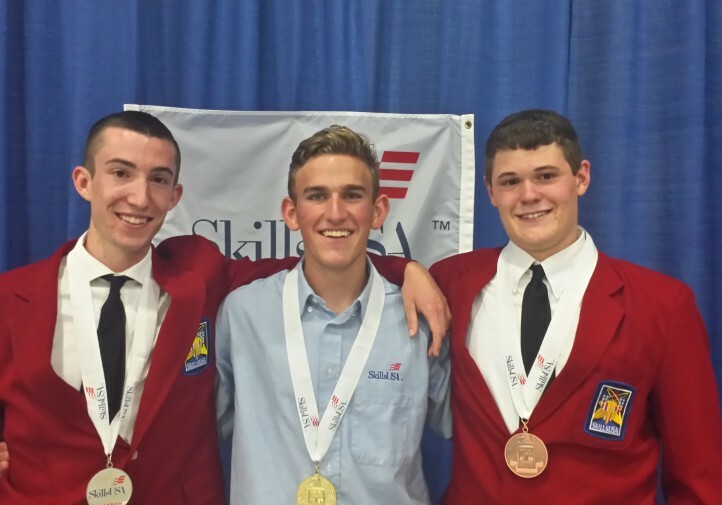 Ranken Tech College’s instructors also should be proud; they also produced collision repair silver medalist Josh Williamson. 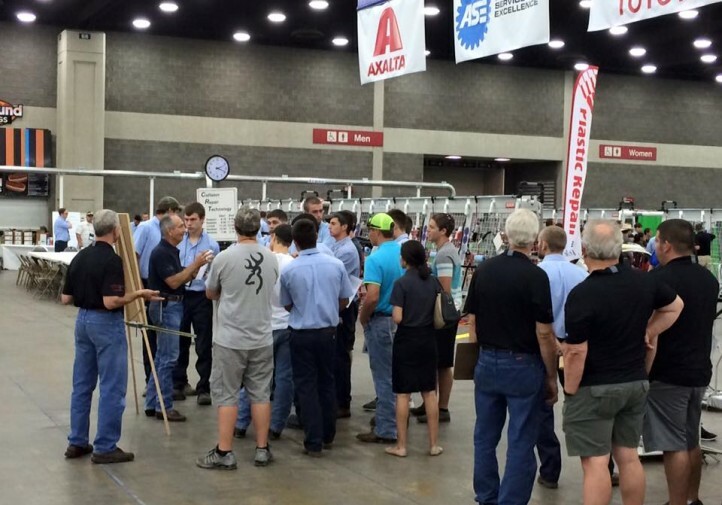 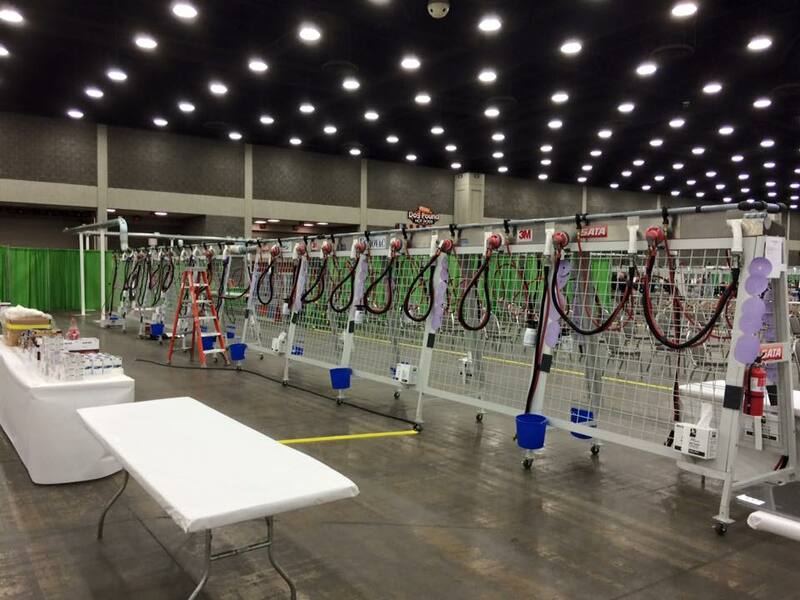 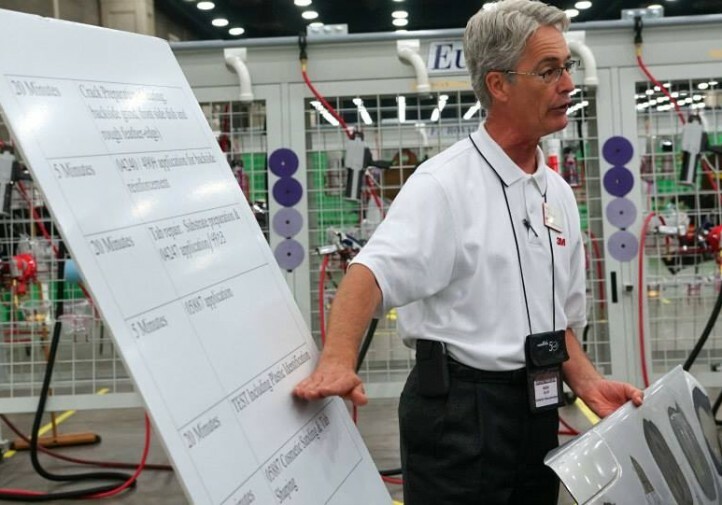 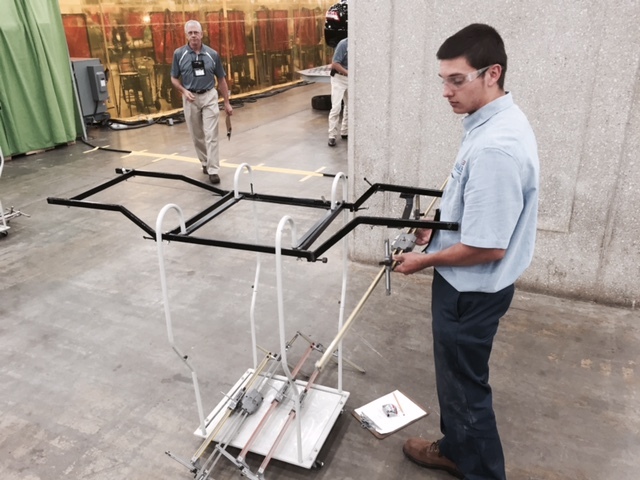 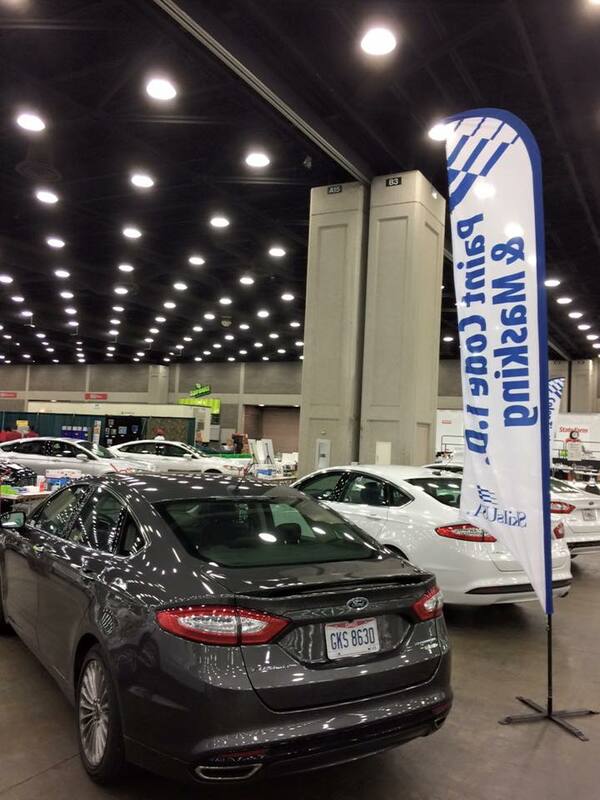 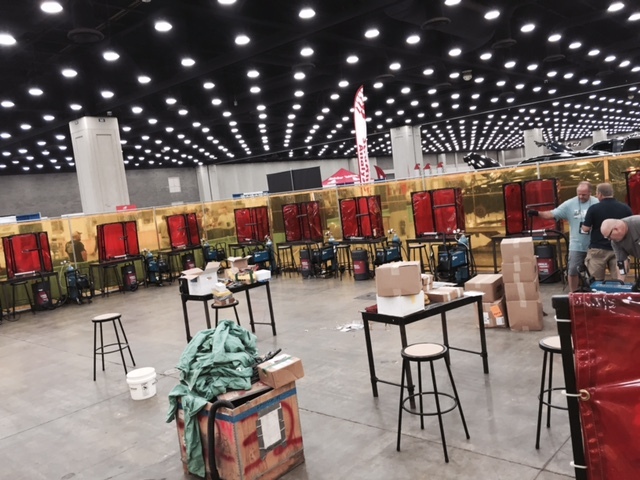 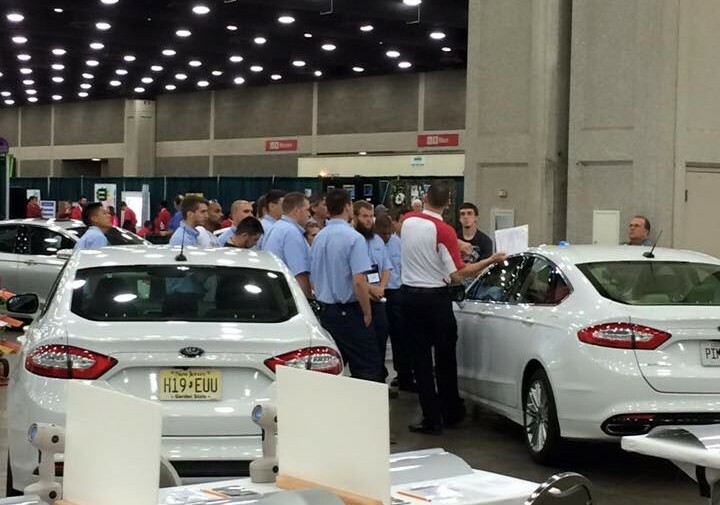 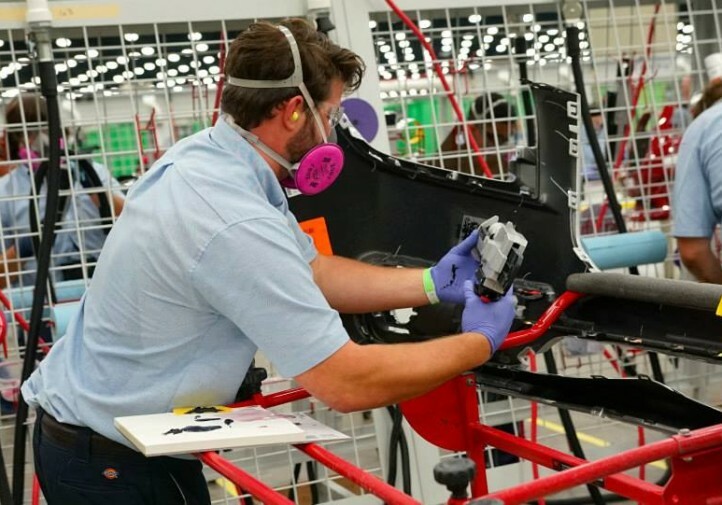 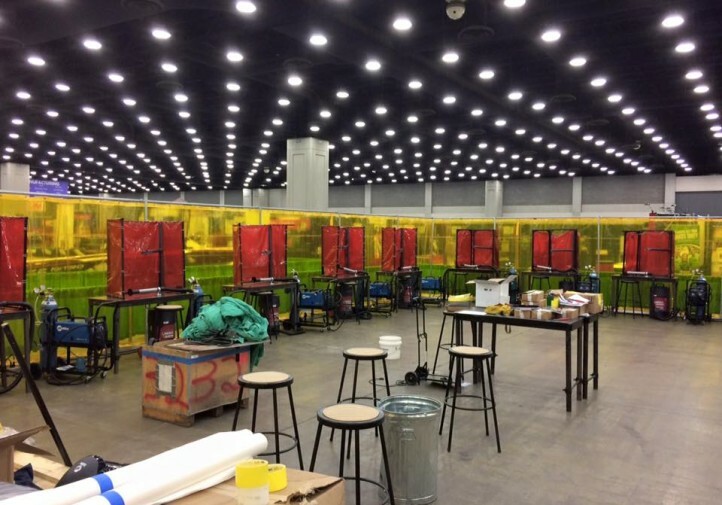 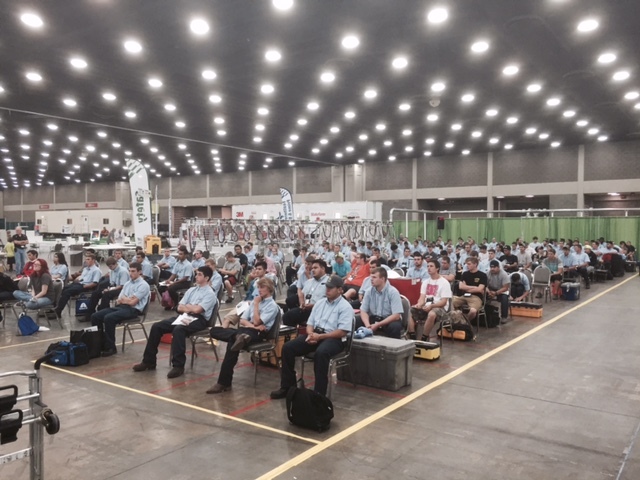 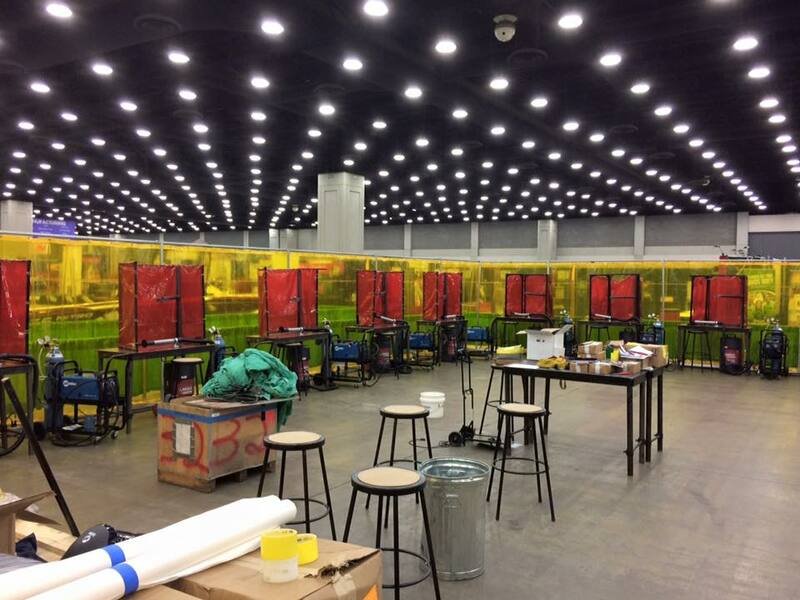 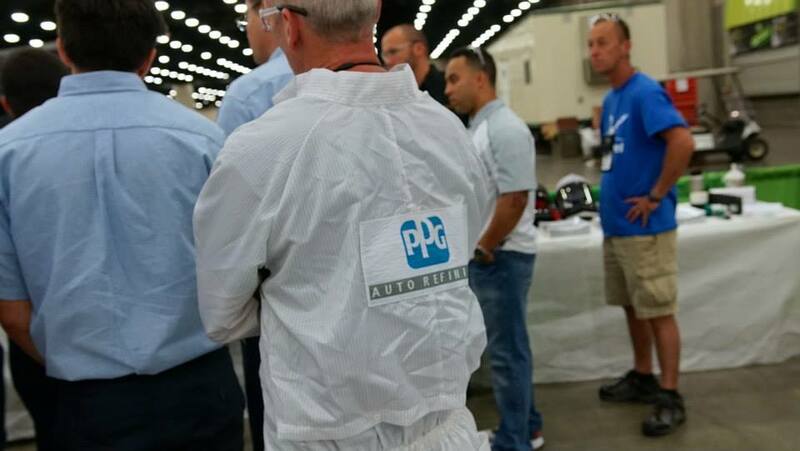 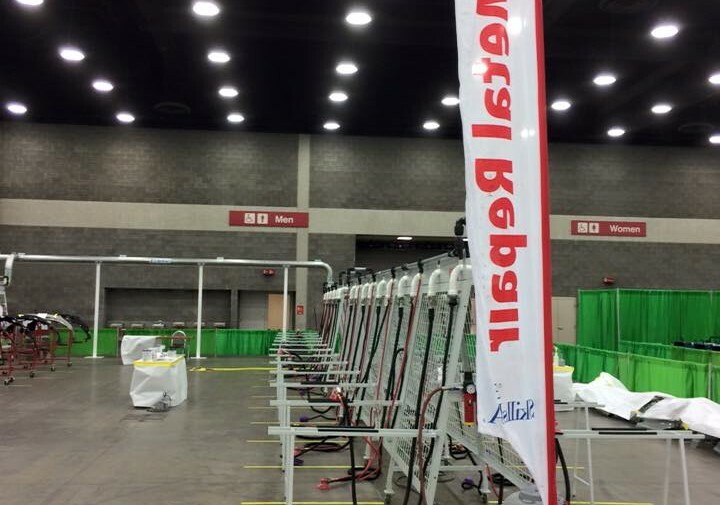 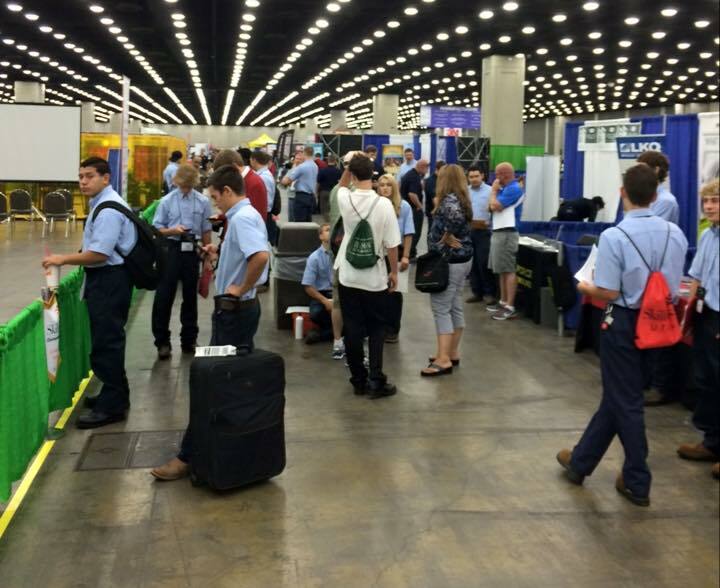 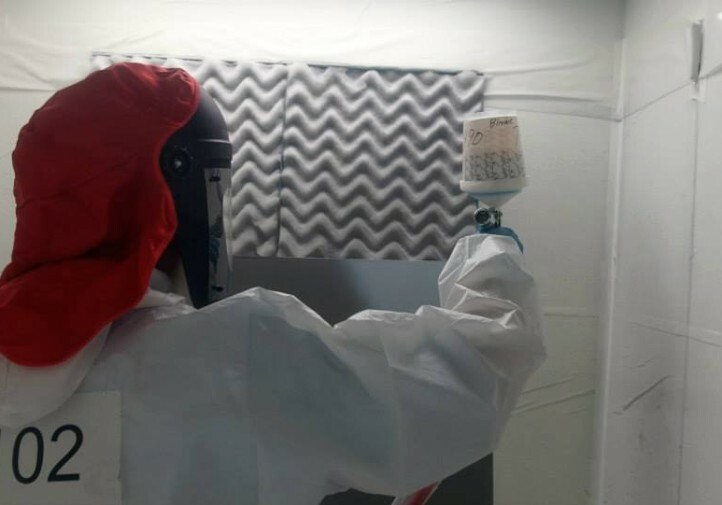 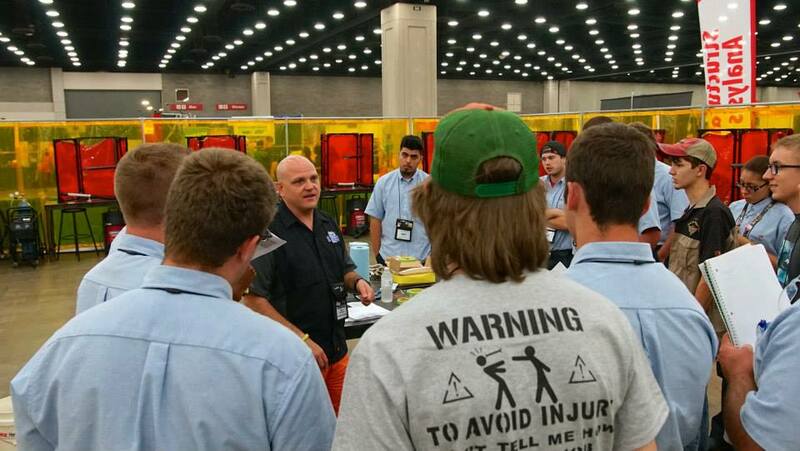 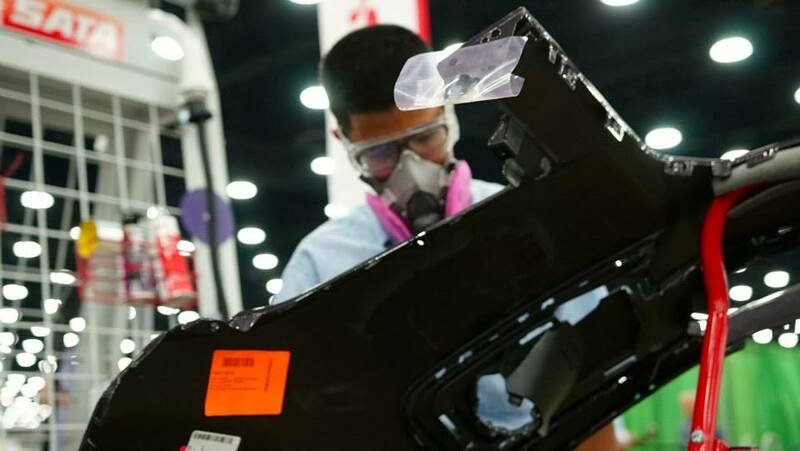 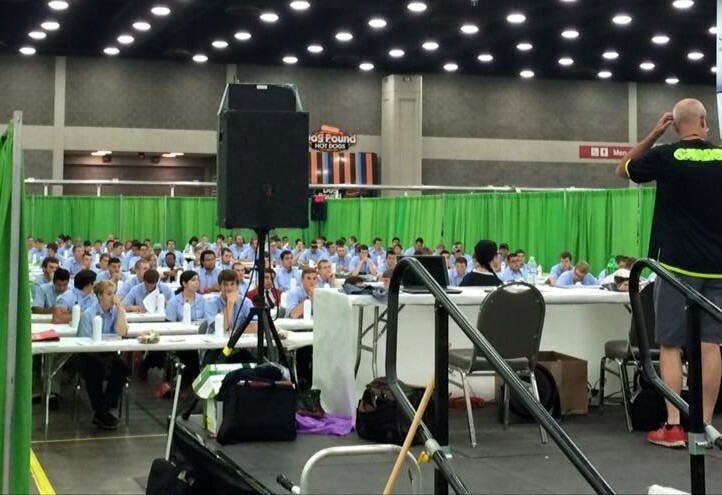 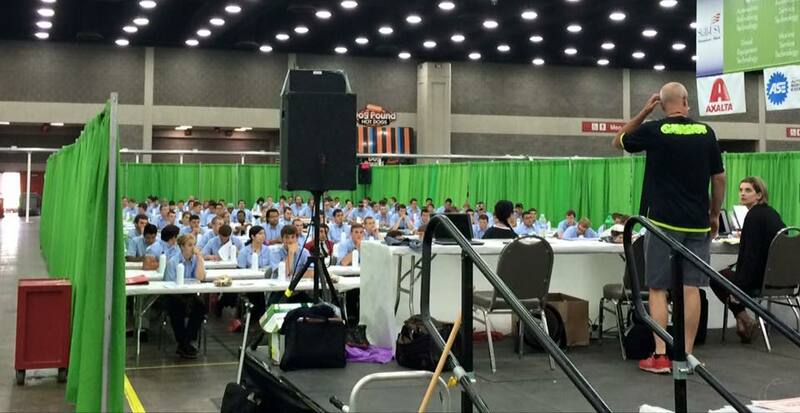 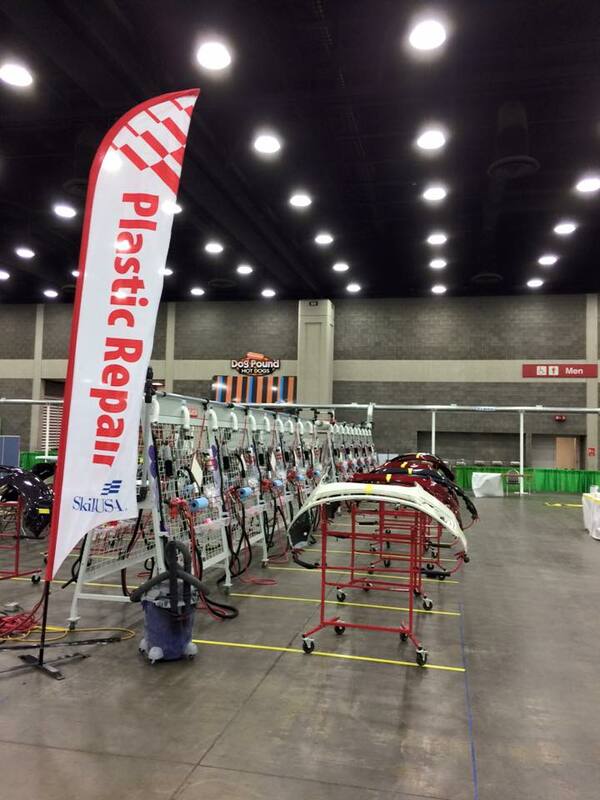 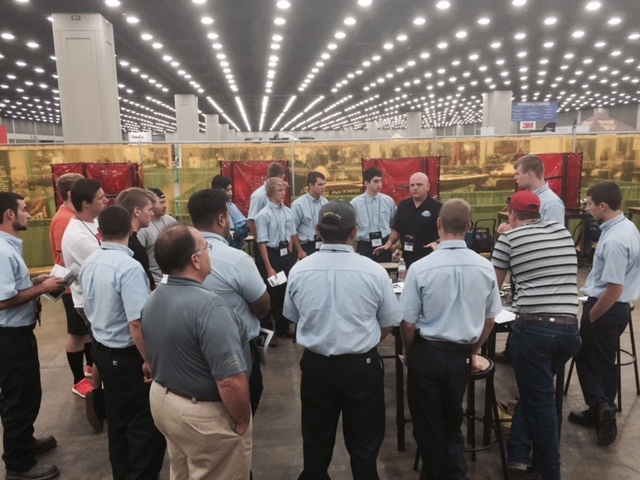 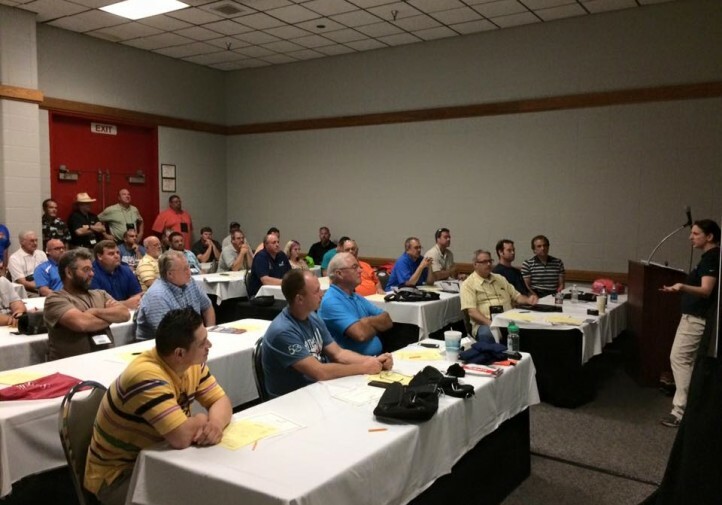 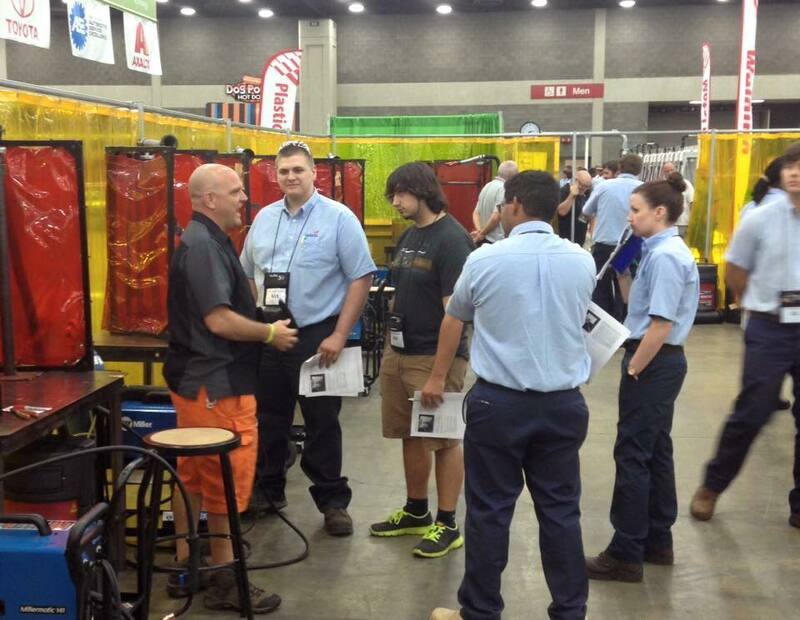 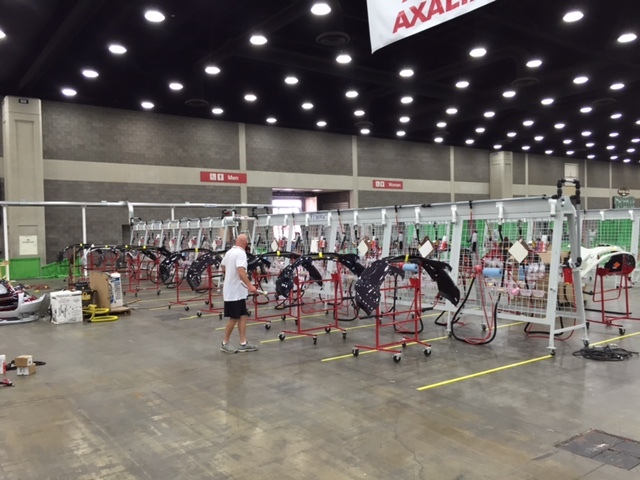 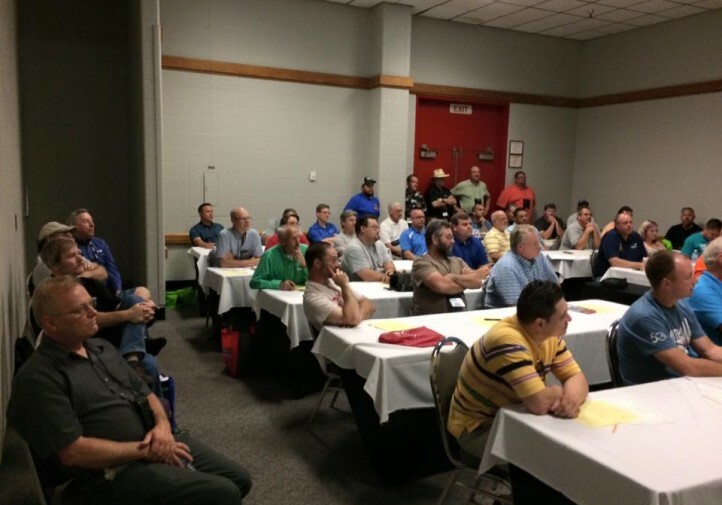 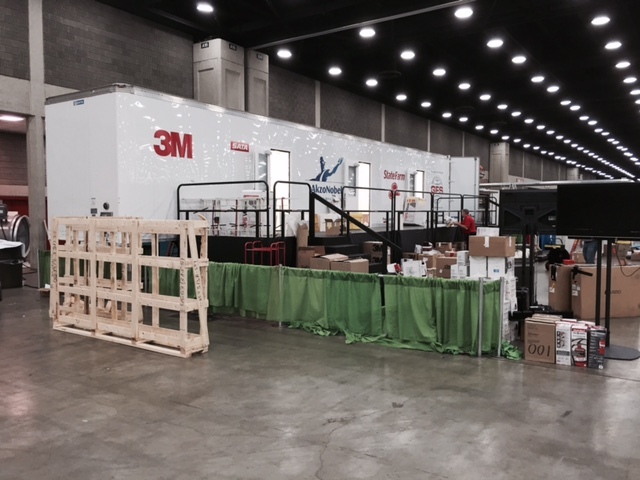 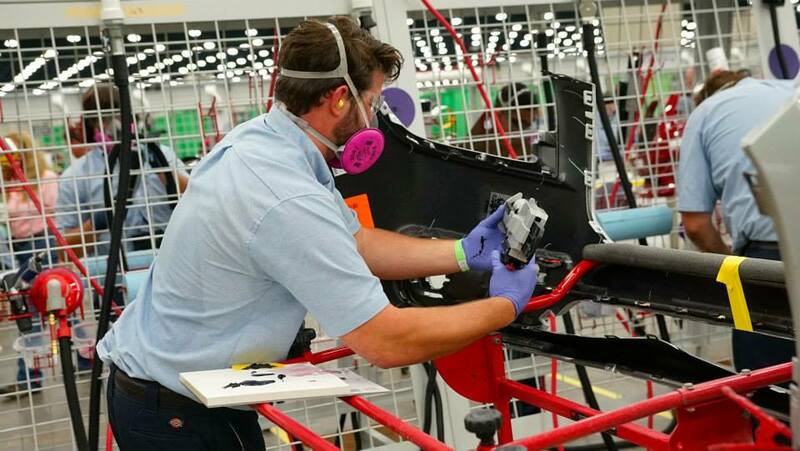 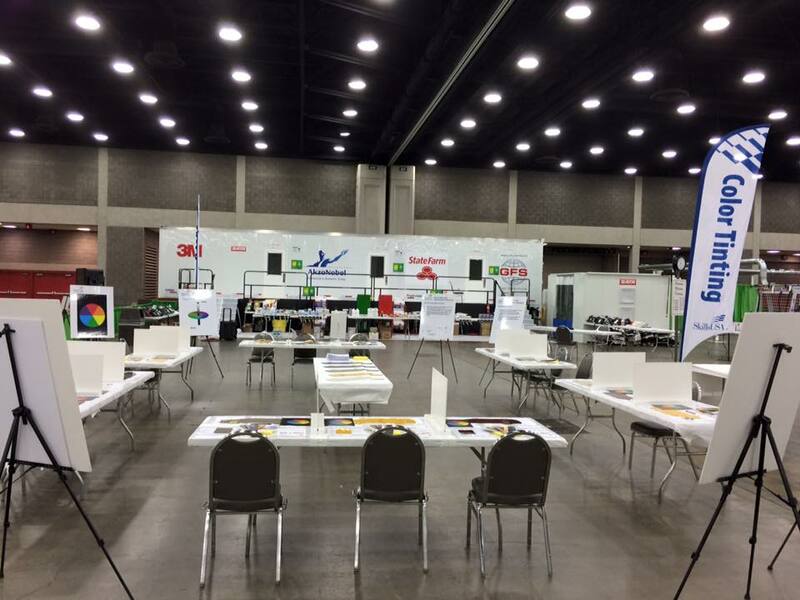 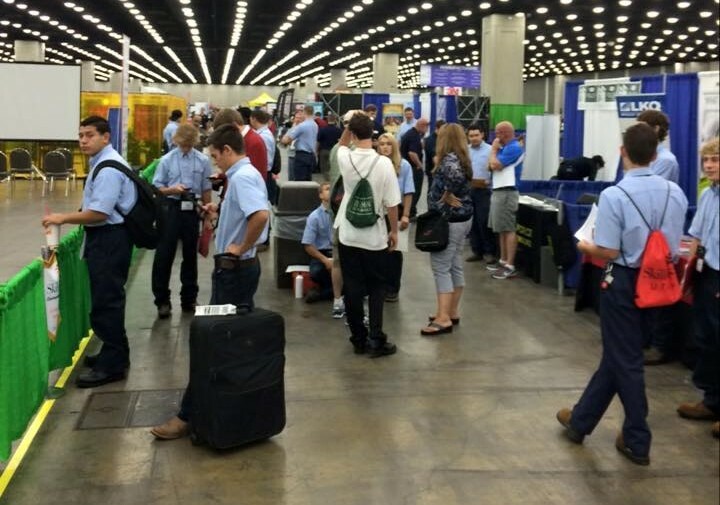 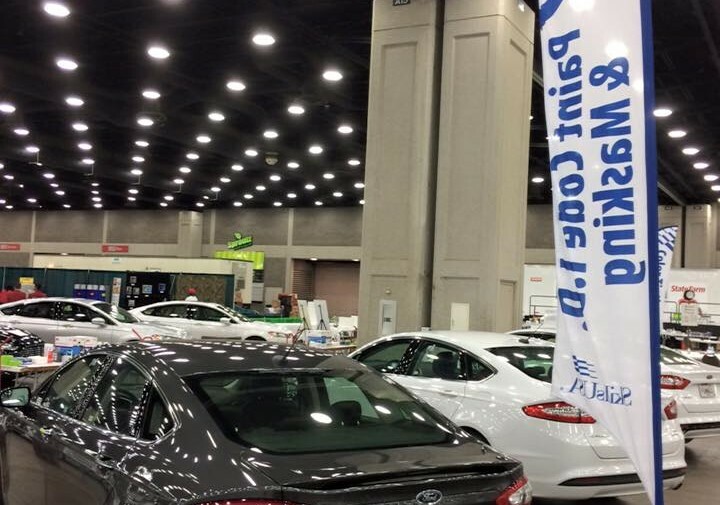 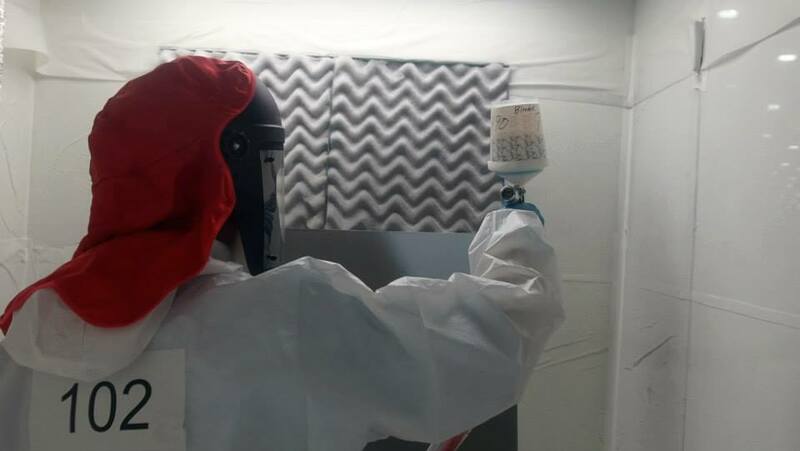 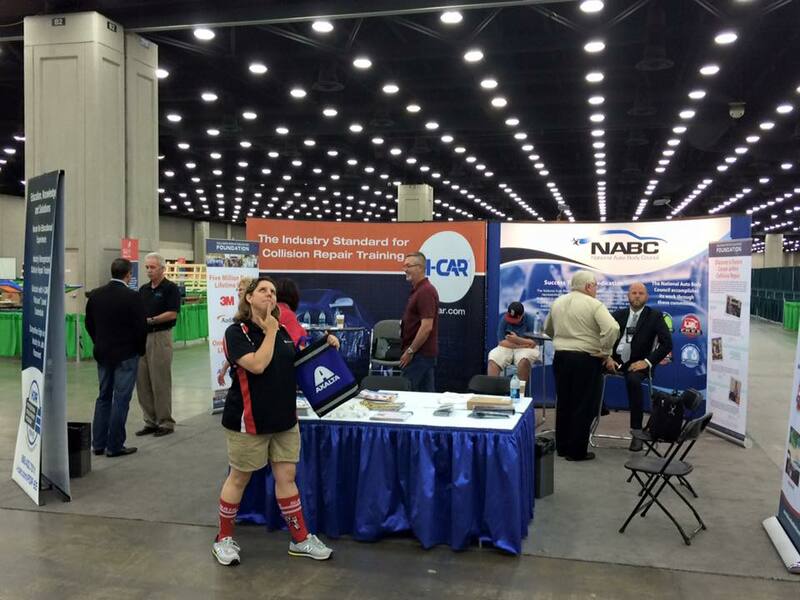 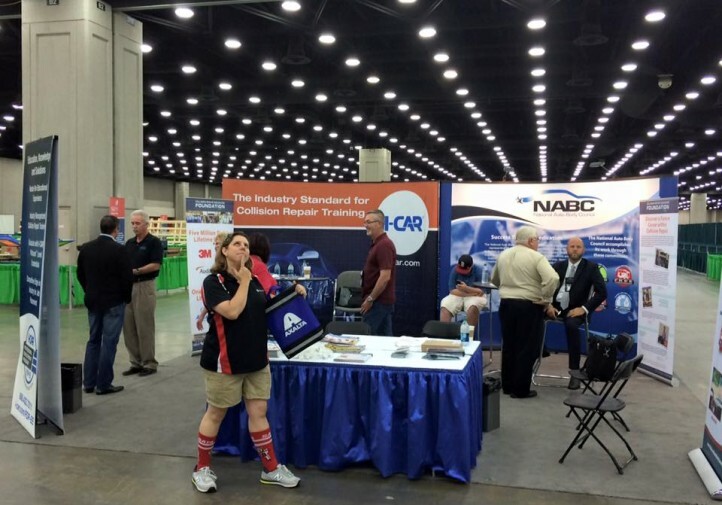 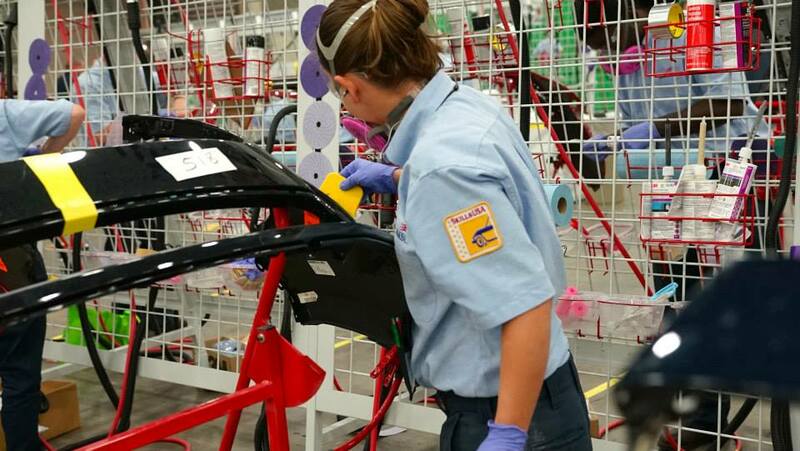 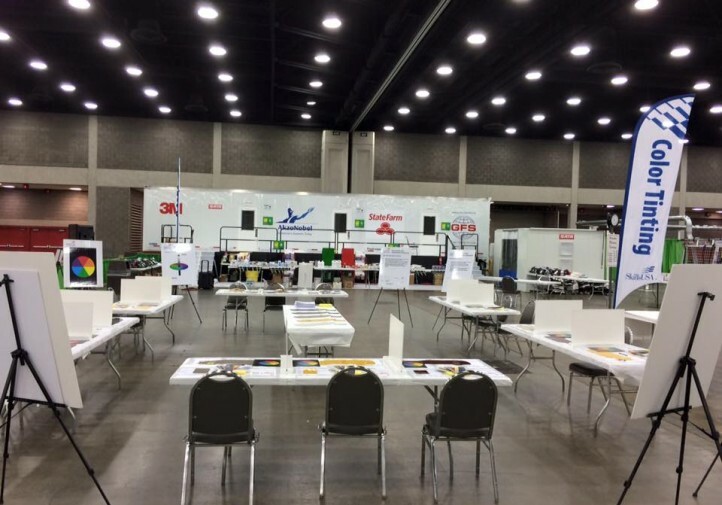 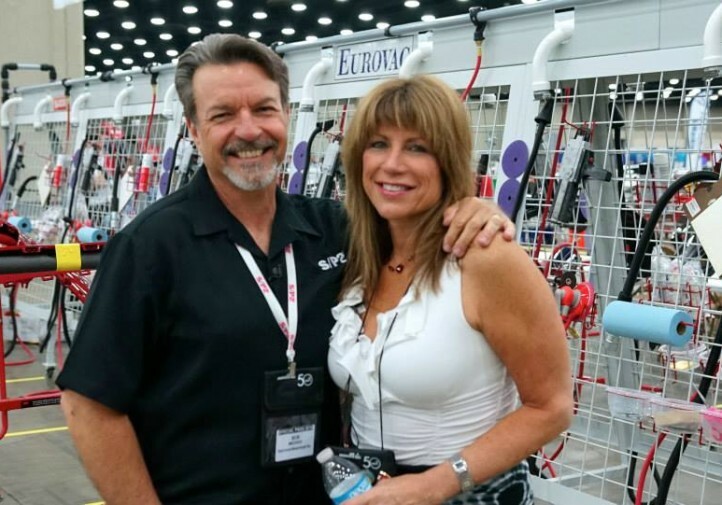 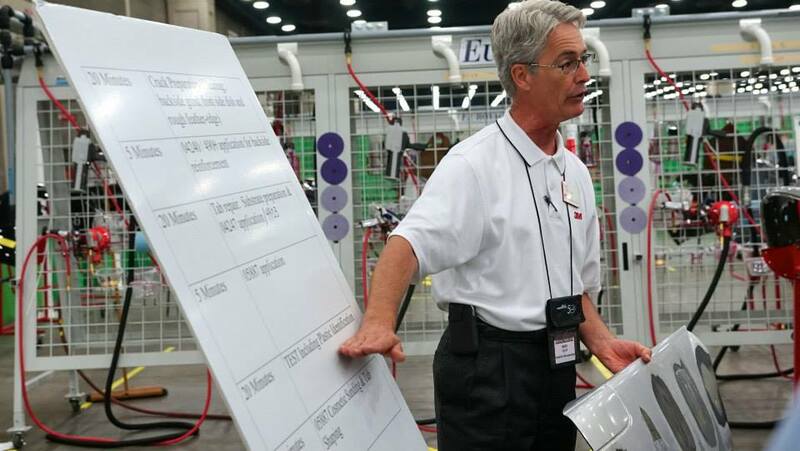 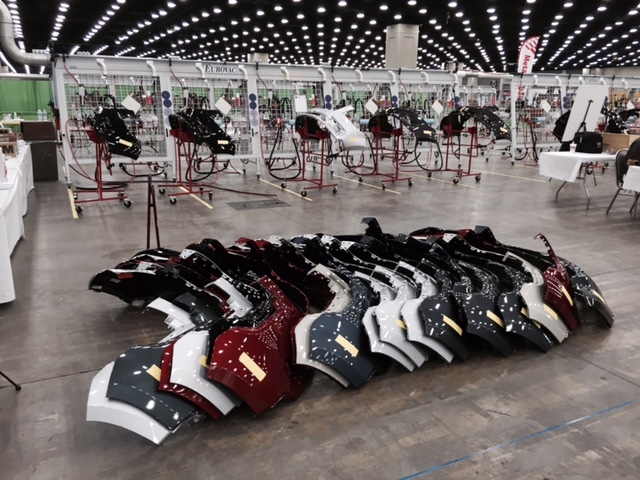 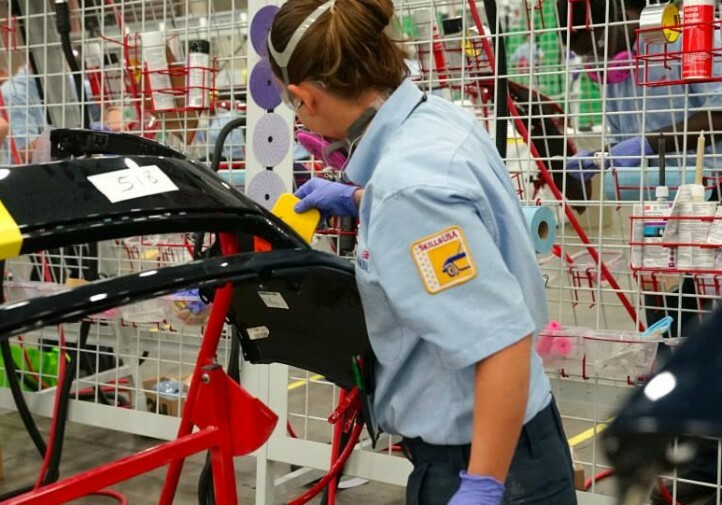 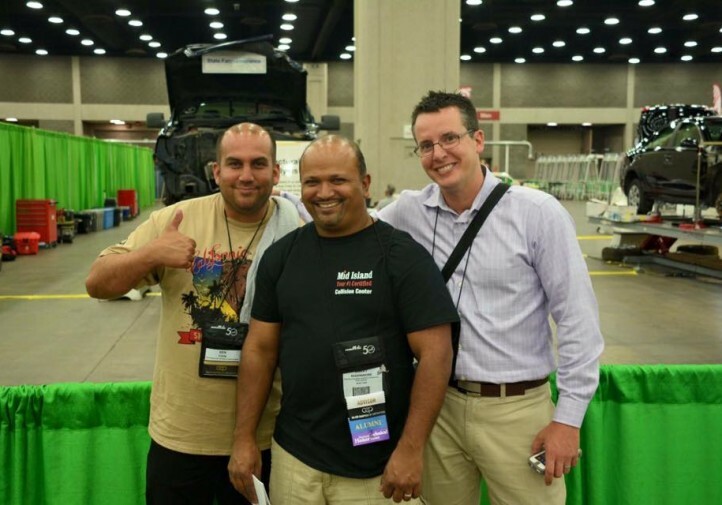 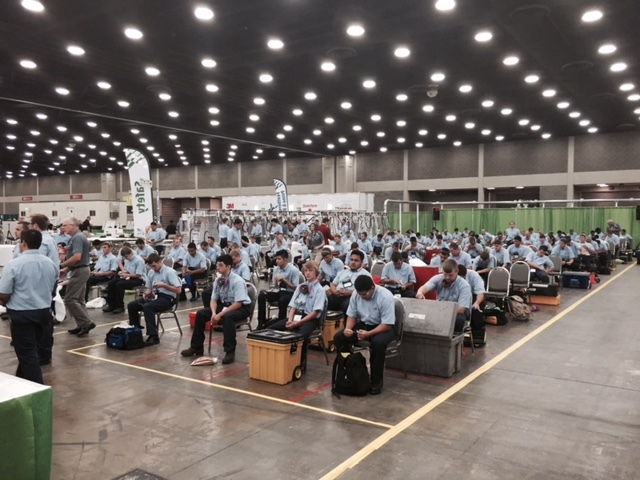 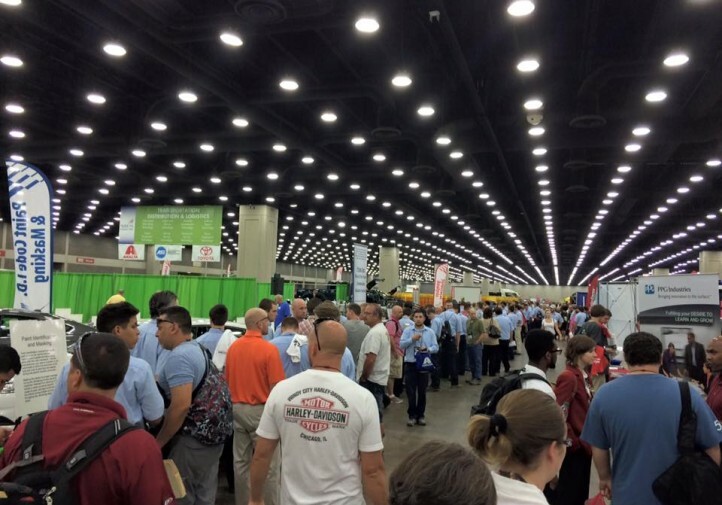 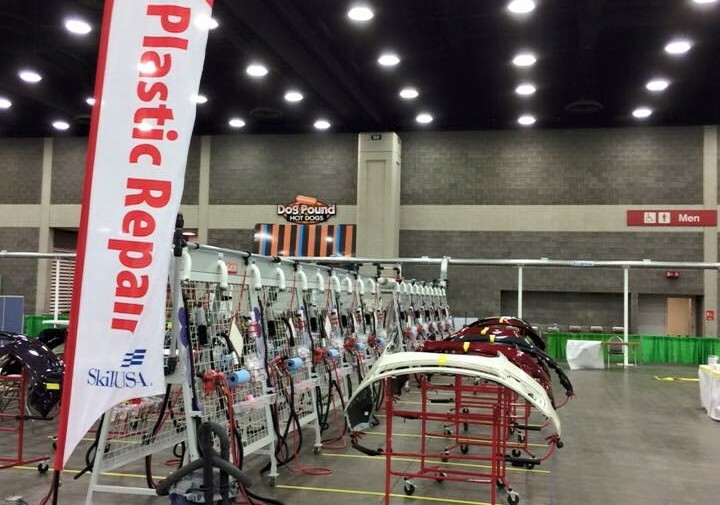 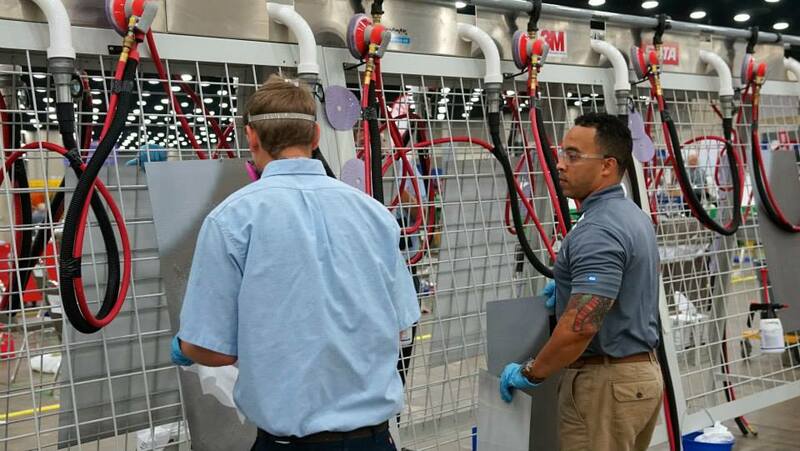 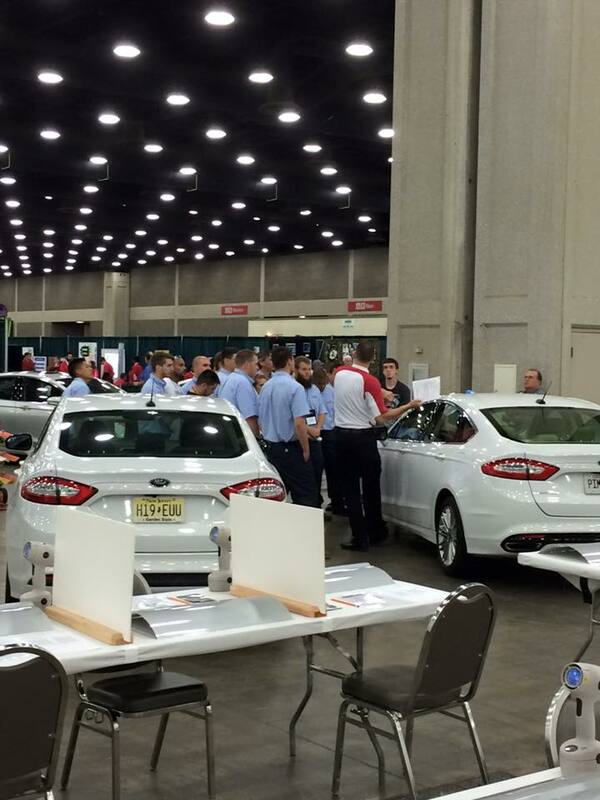 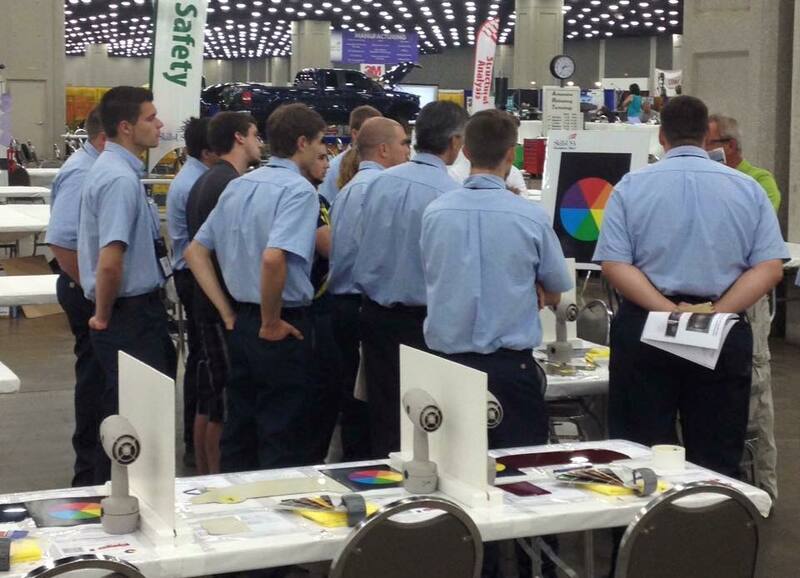 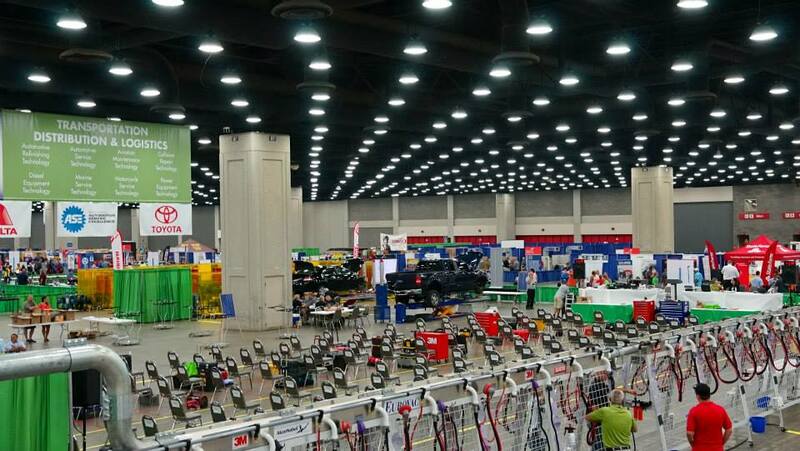 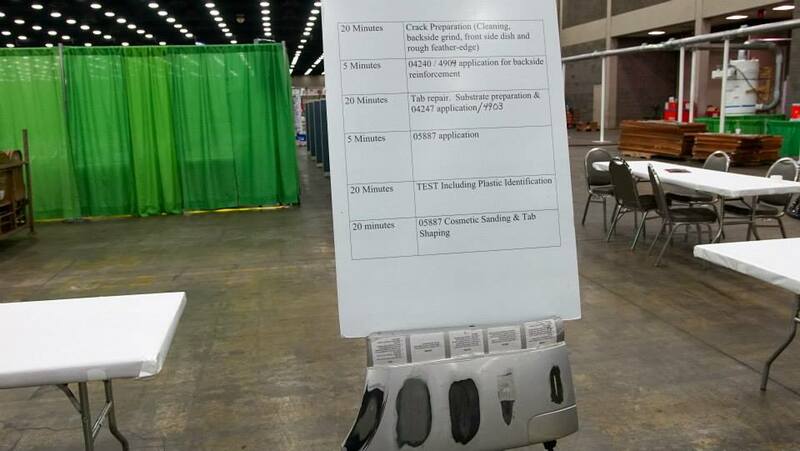 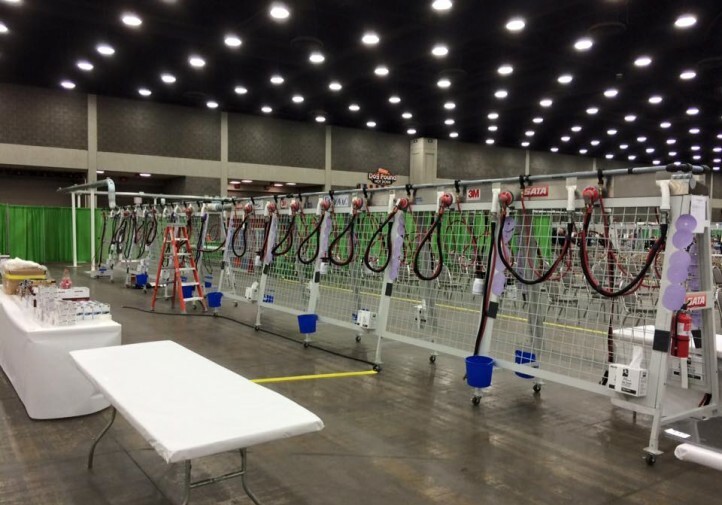 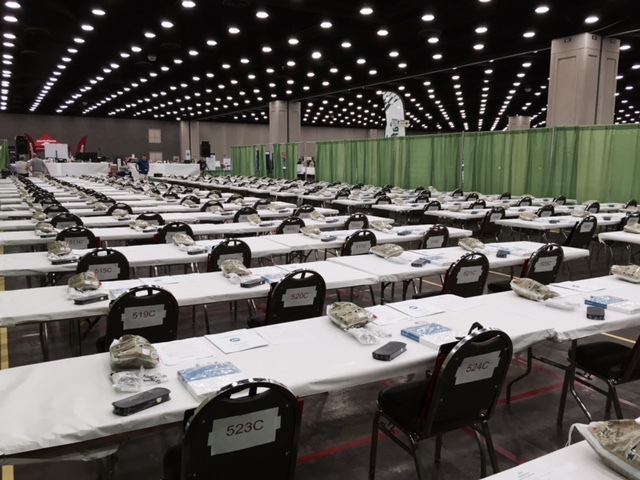 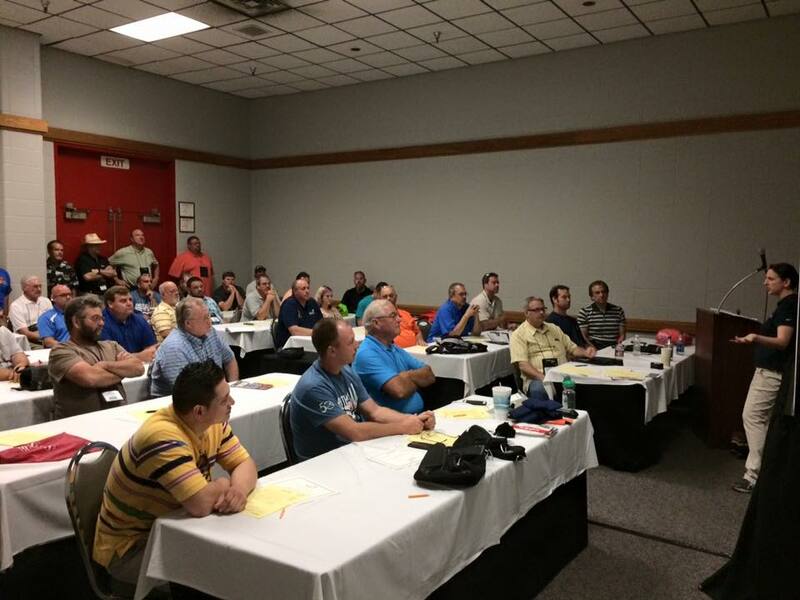 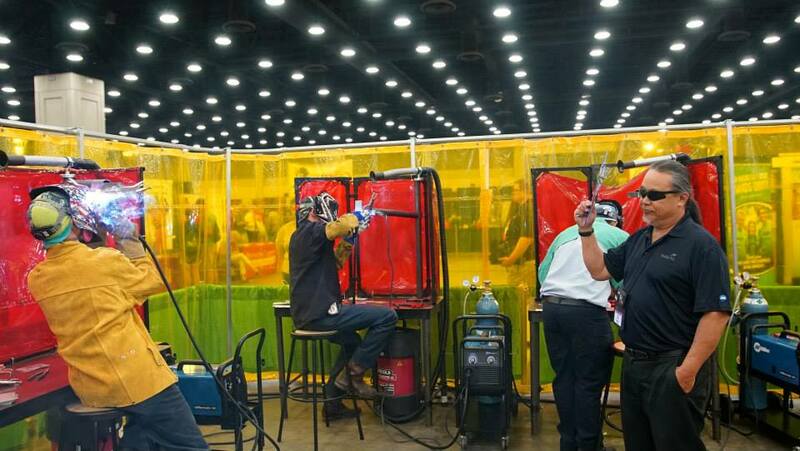 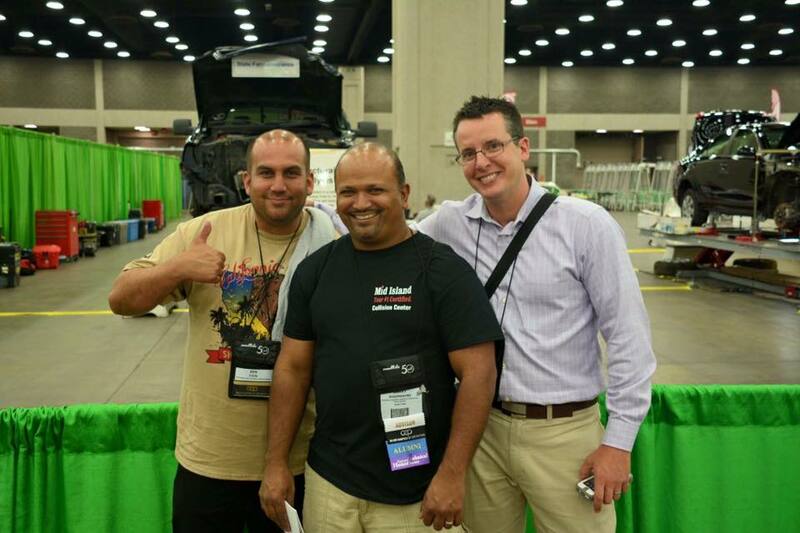 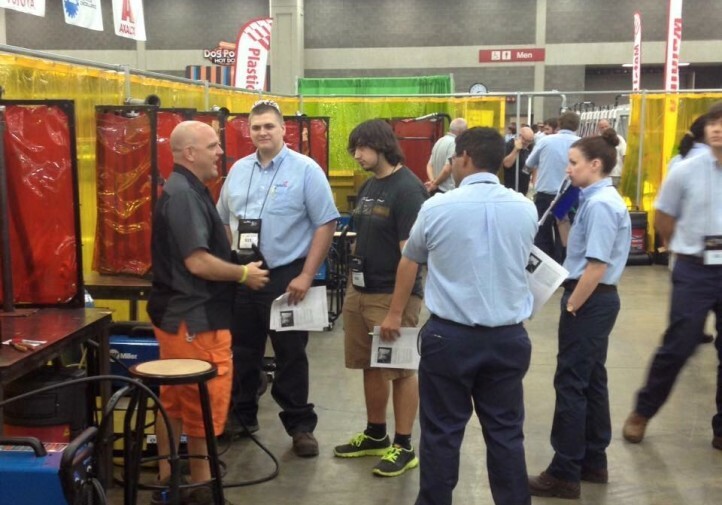 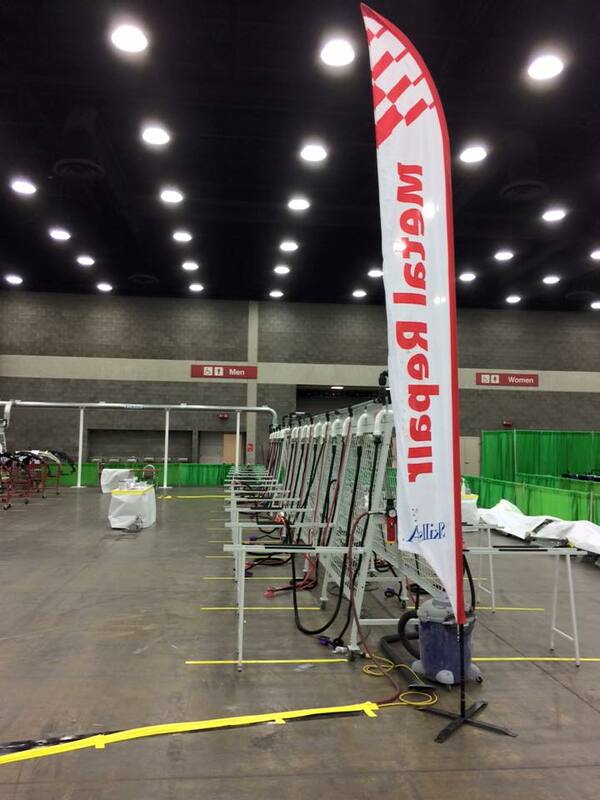 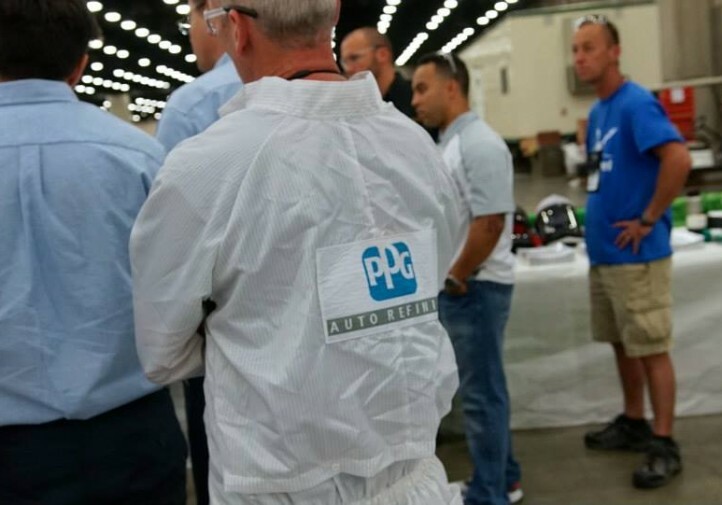 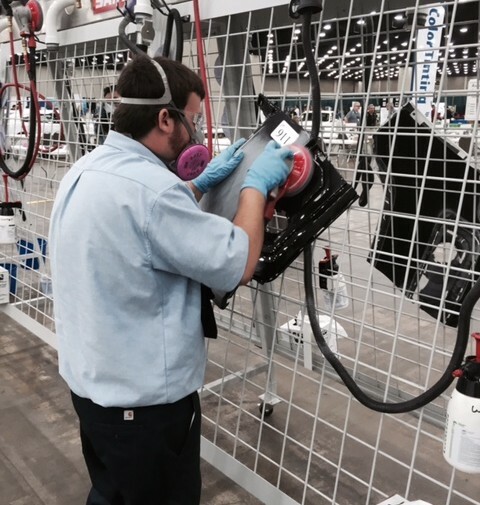 Here’s some coverage referencing the automotive refinishing competition from WDRB. 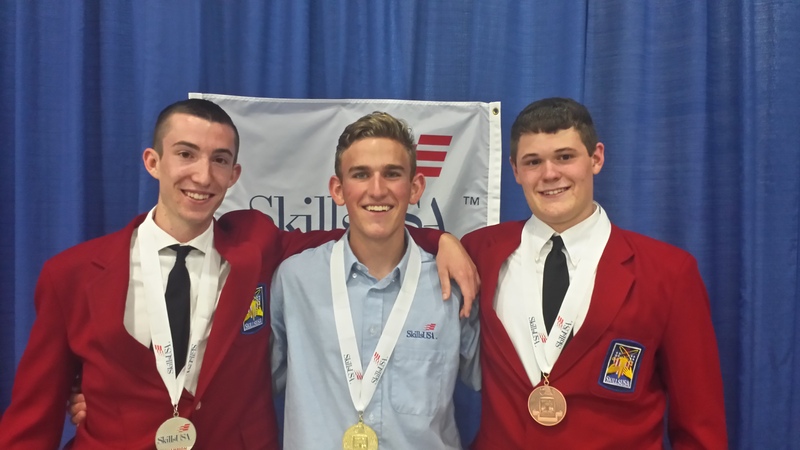 High school collision repair: Cory Petit, Washburn Tech, Topeka, Kan., silver; and Quinn Strohl, Bethlehem AVTS, Bethlehem, Penn., bronze. High school automotive refinishing: Chase Bryant, Dennis Technical Education Center, Boise, Idaho, silver; and Aryon Schube, Vanguard-Sentinel CTC-Sentinel Campus, Tiffin, Ohio, bronze. 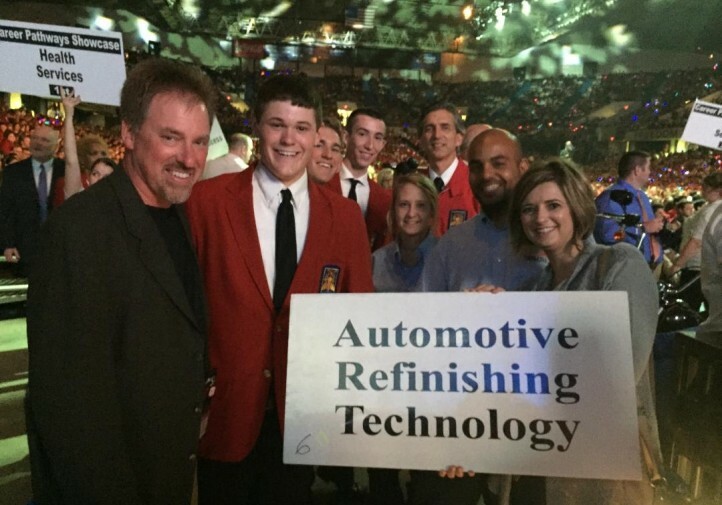 College automotive refinishing: Jim Fuller, Lanier Technical College-Oakwood, Oakwood, Ga., silver; and Joseph Melendez Jr., Iowa Central Community College, Fort Dodge, Iowa, bronze. 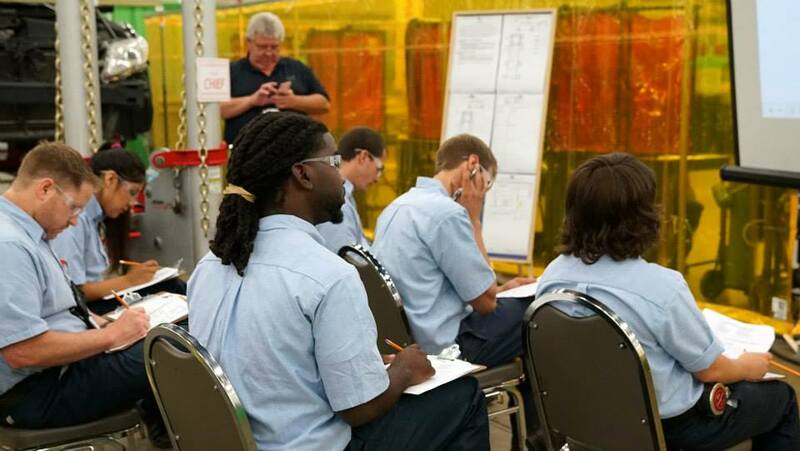 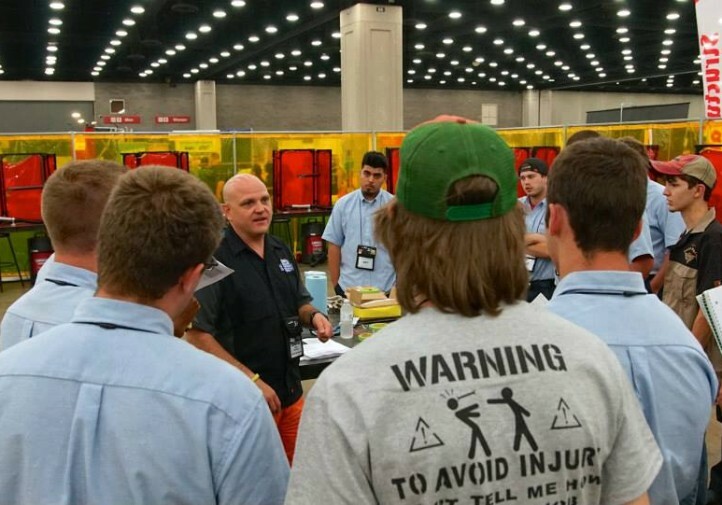 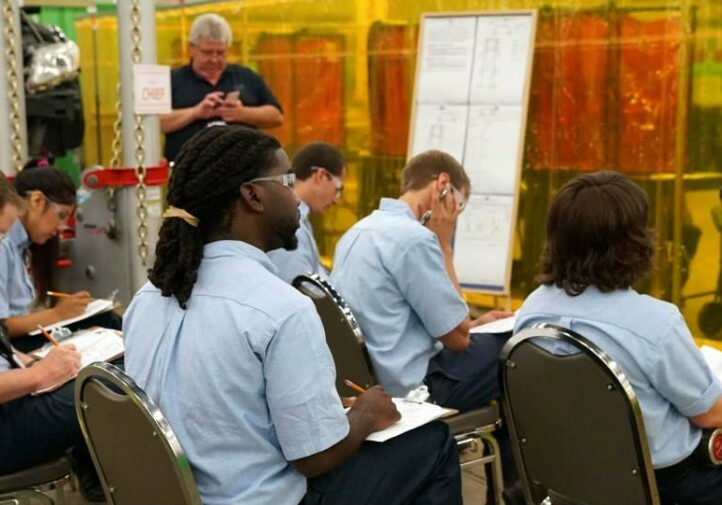 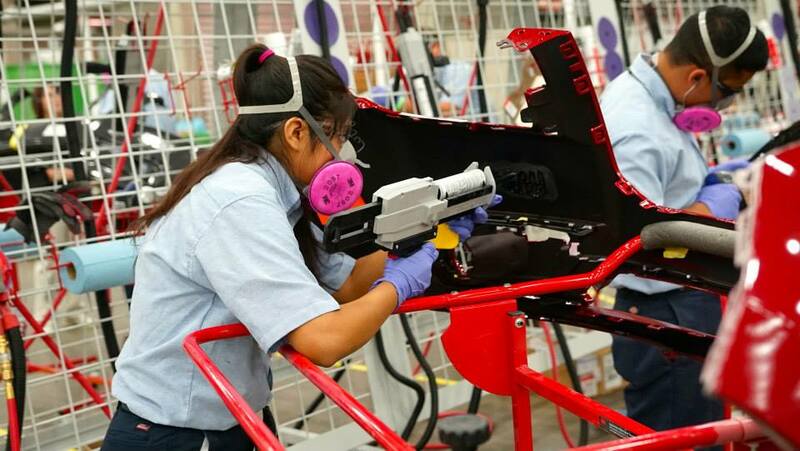 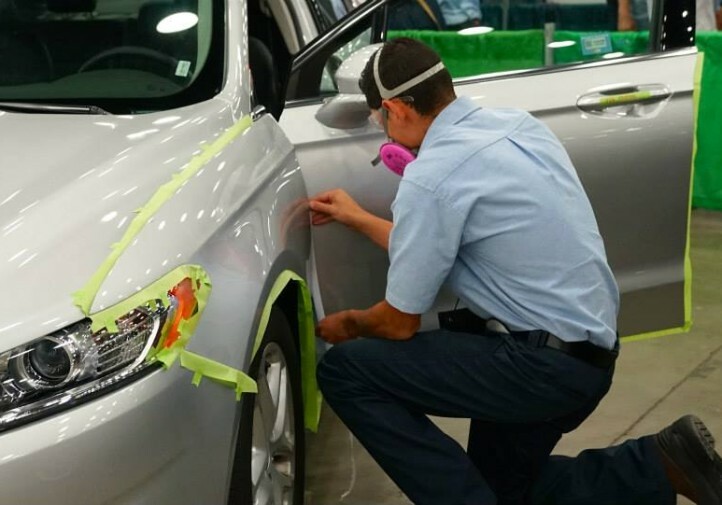 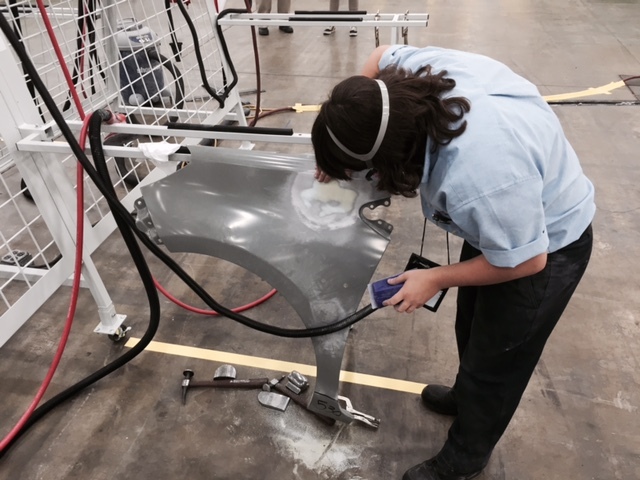 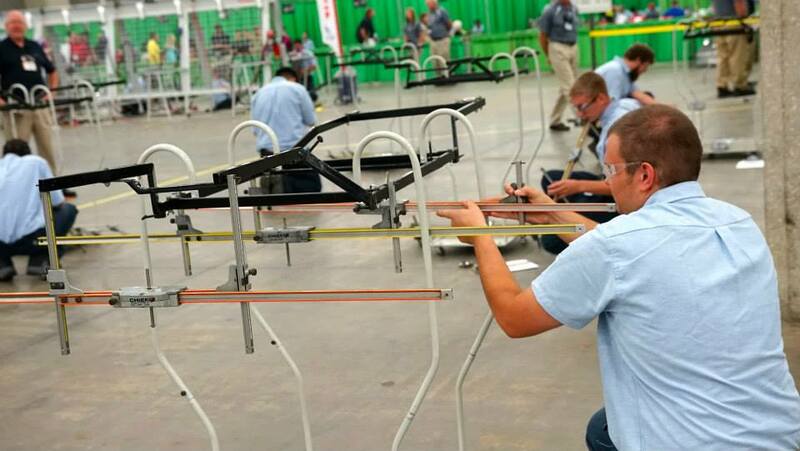 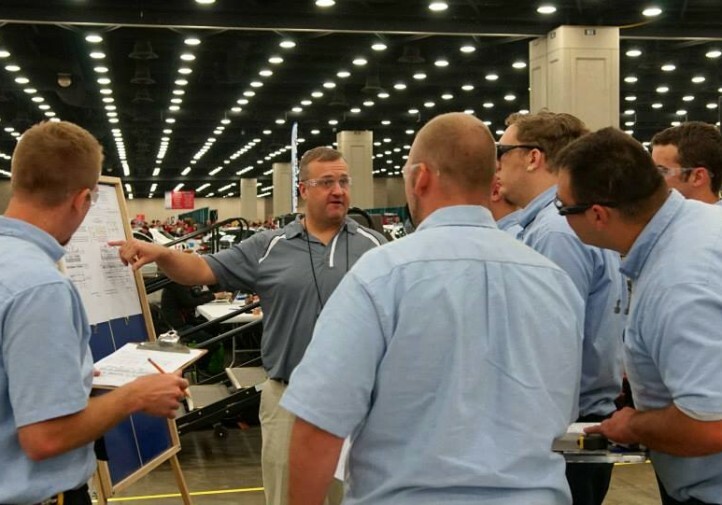 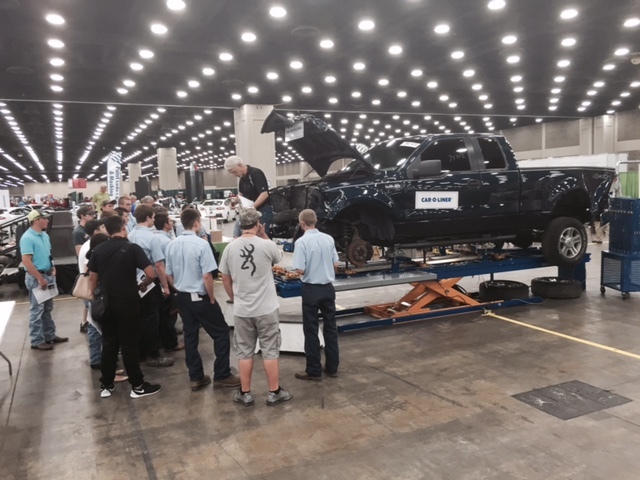 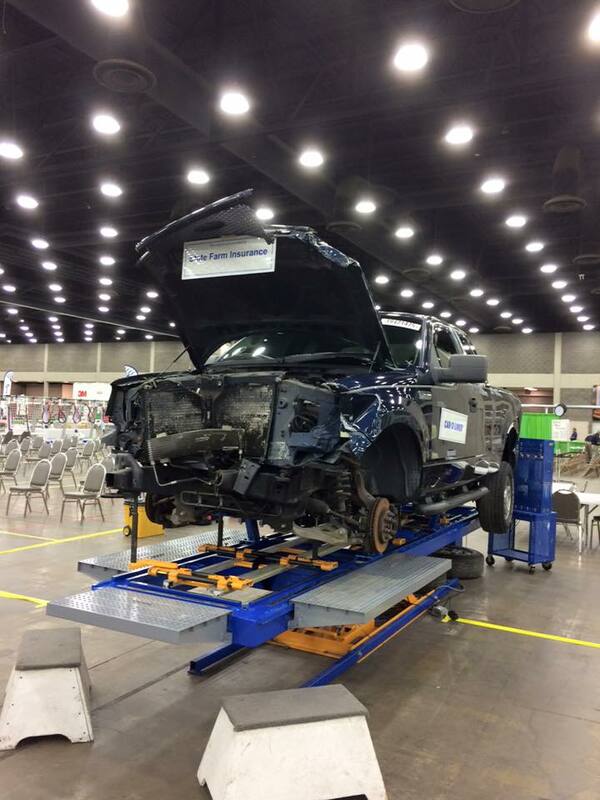 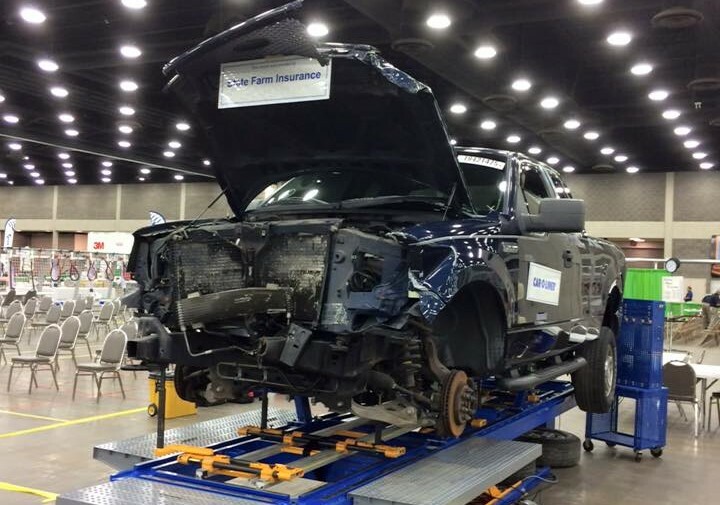 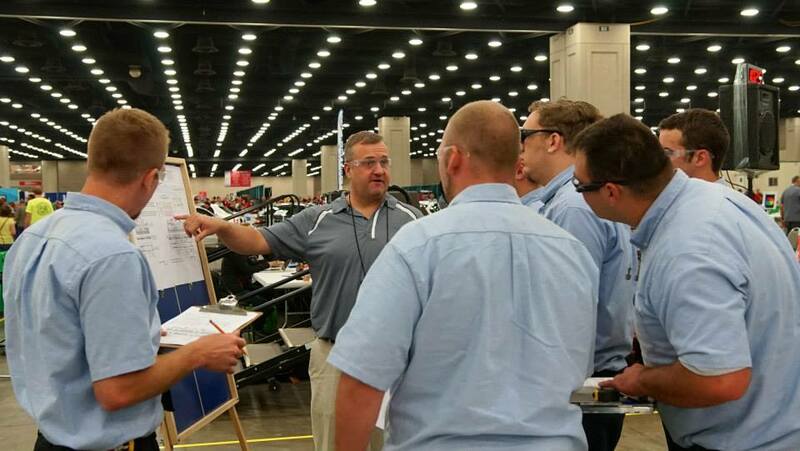 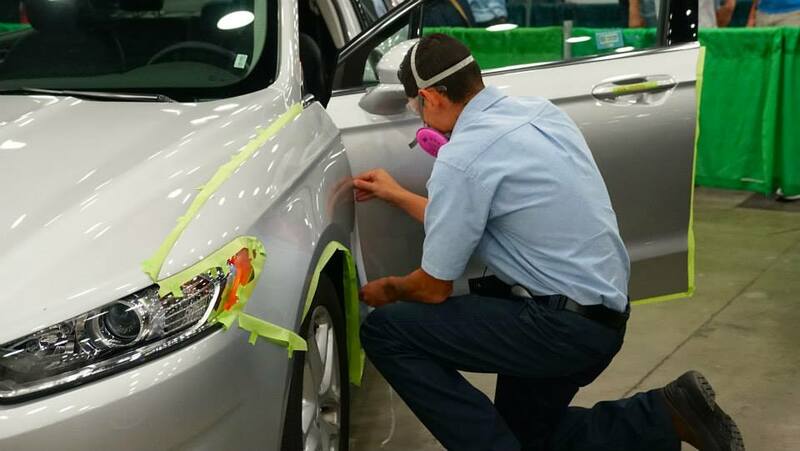 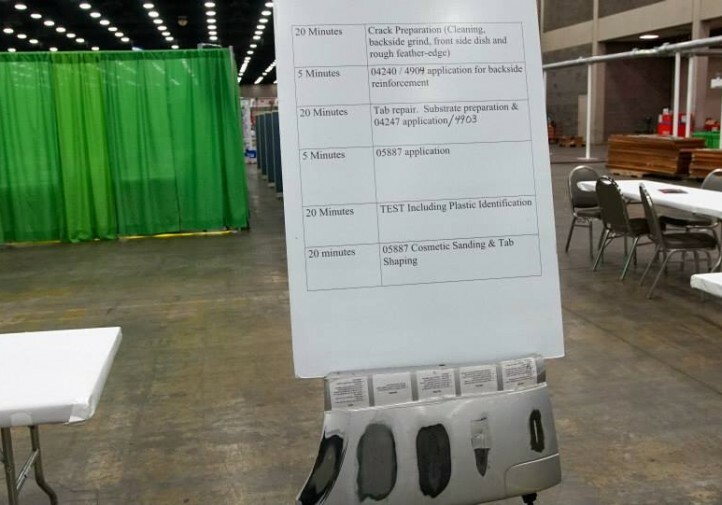 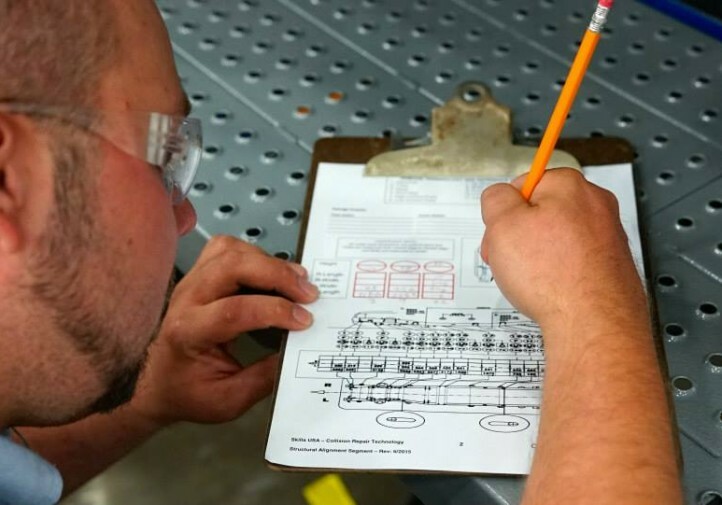 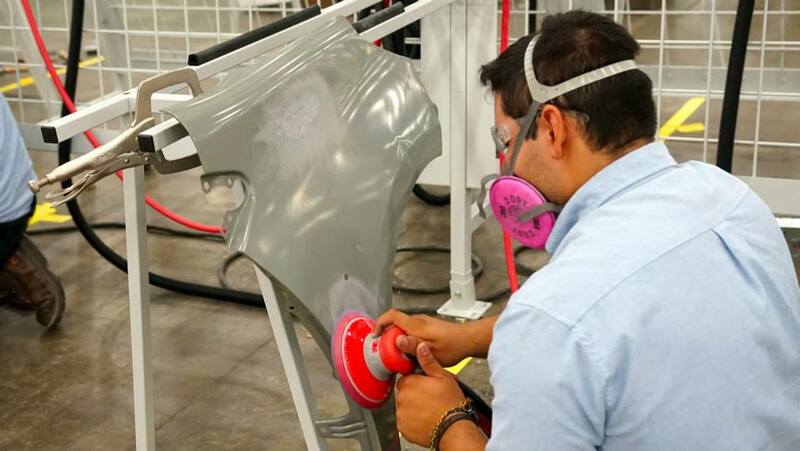 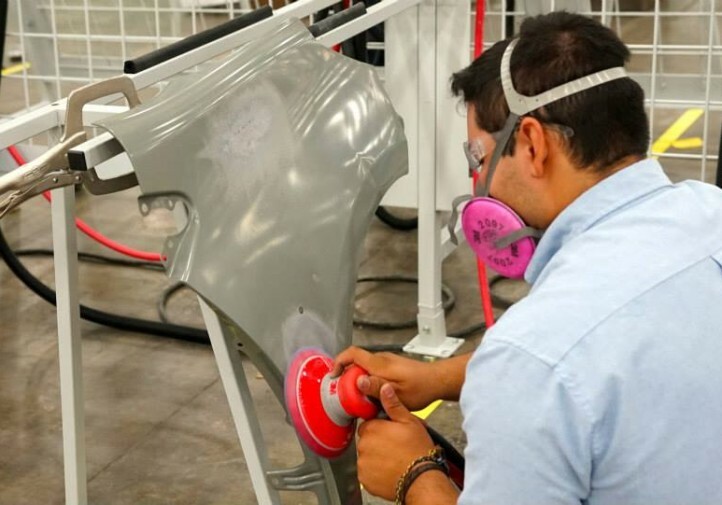 The collision repair competition included work in metal straightening, plastic repair, welding and structural analysis and was derived from National Institute for Automotive Service Excellence and National Automotive Technicians Education Foundation task lists. 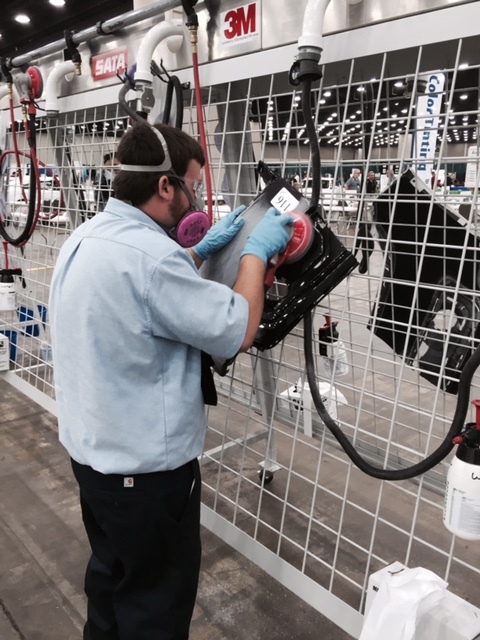 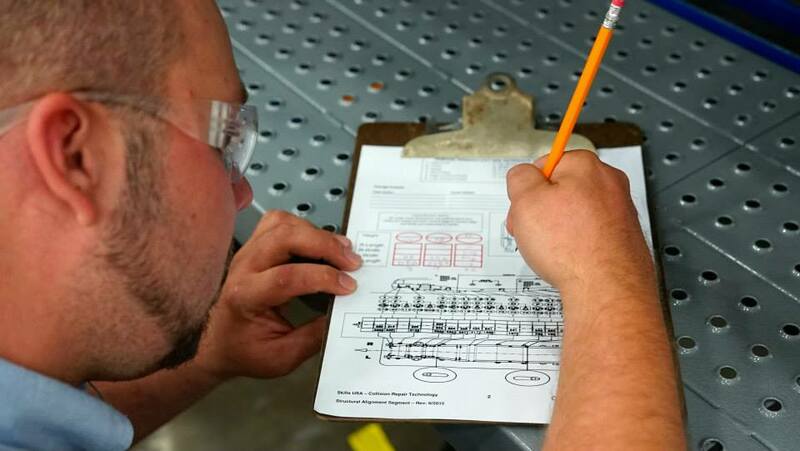 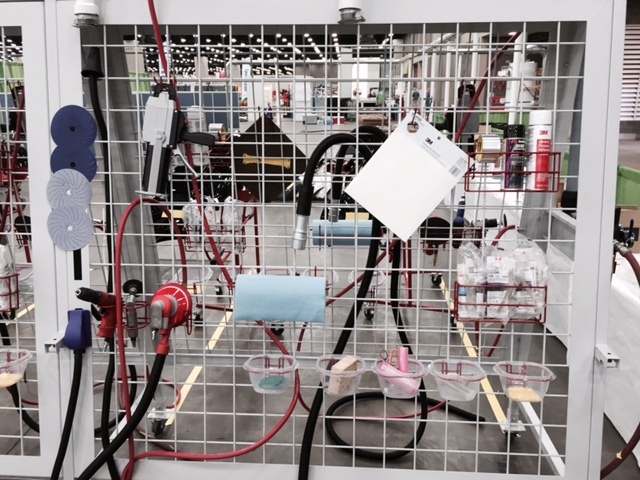 The automotive refinishing competition was also derived from NATEF and ASE task lists. 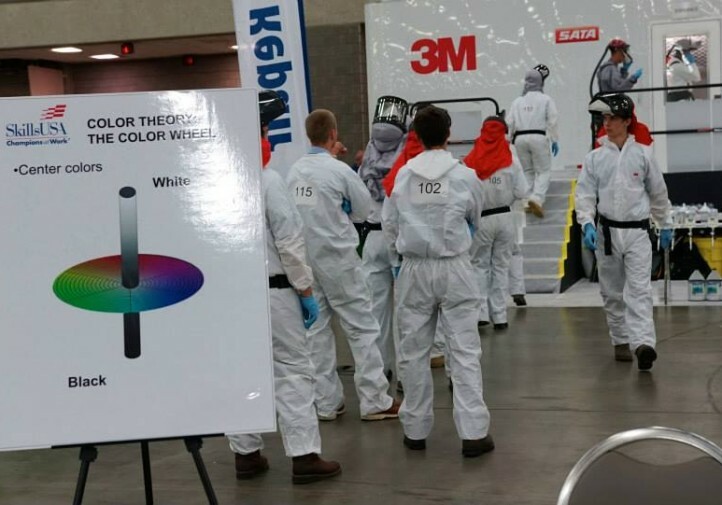 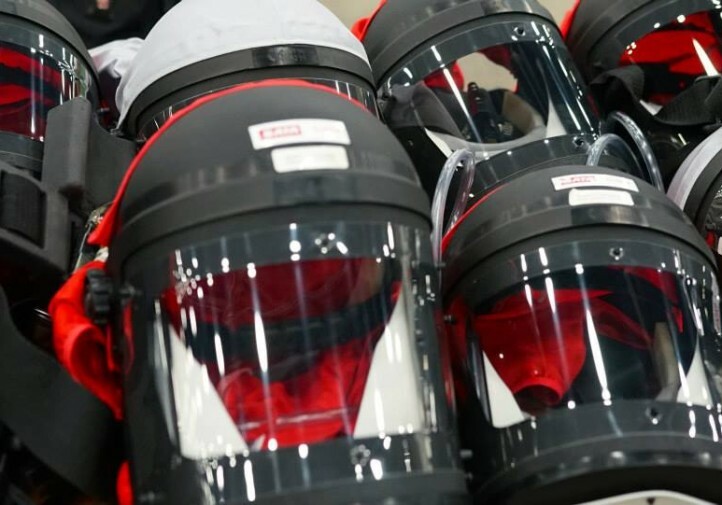 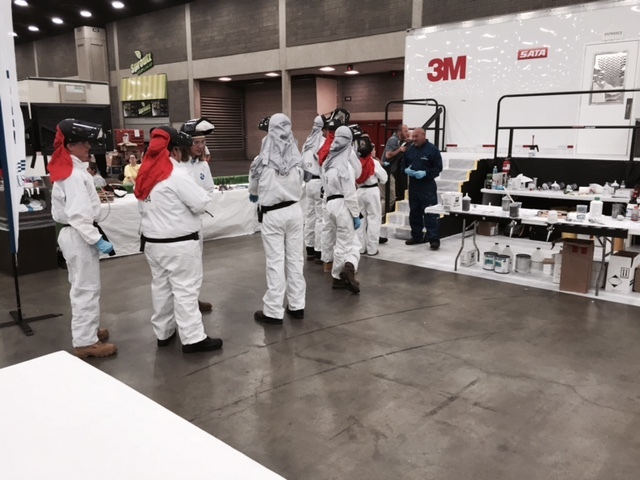 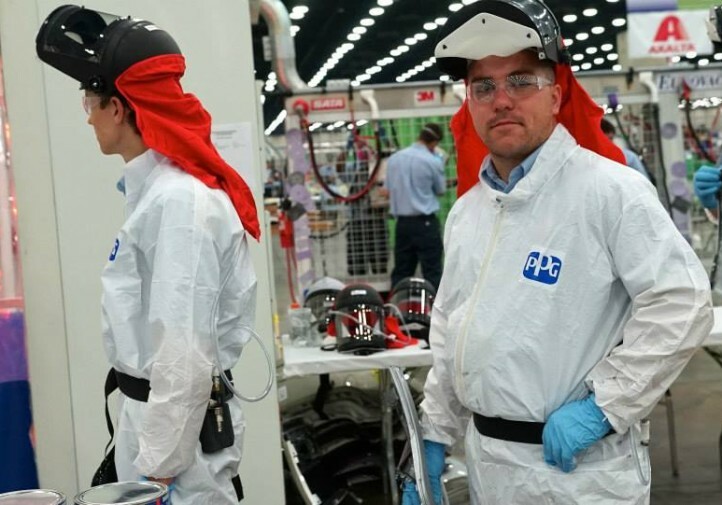 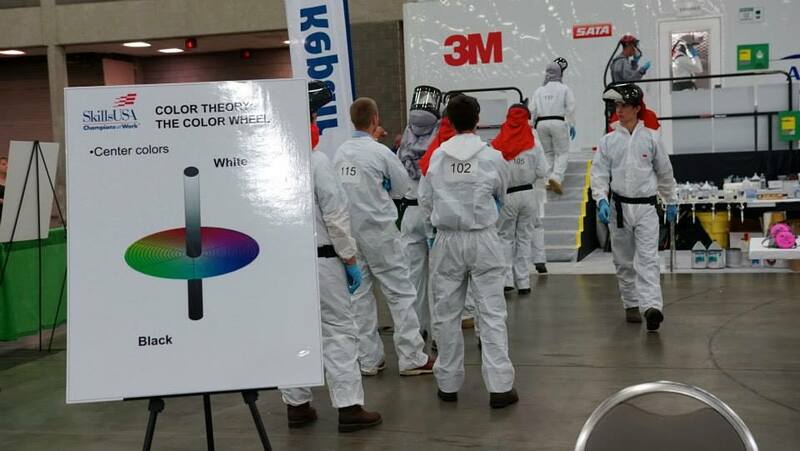 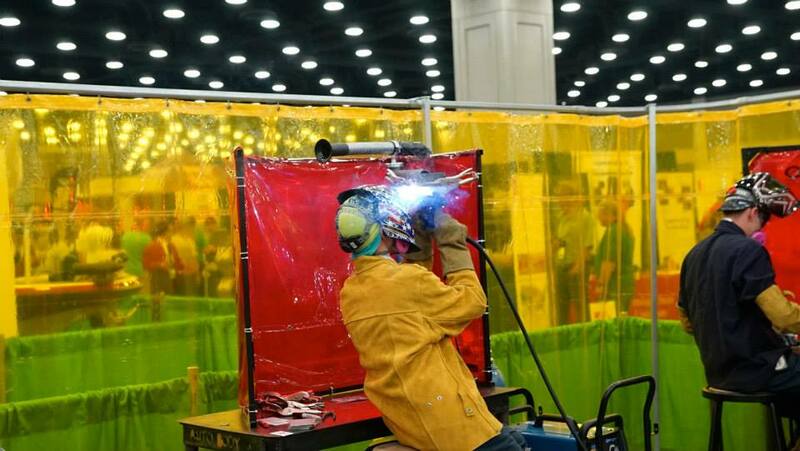 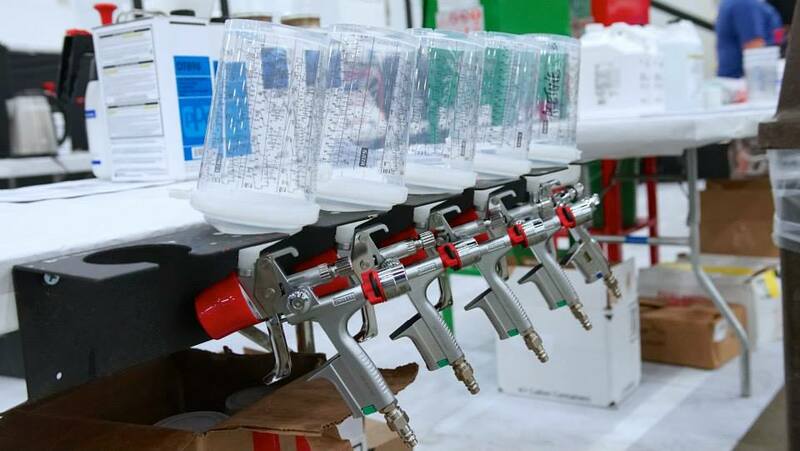 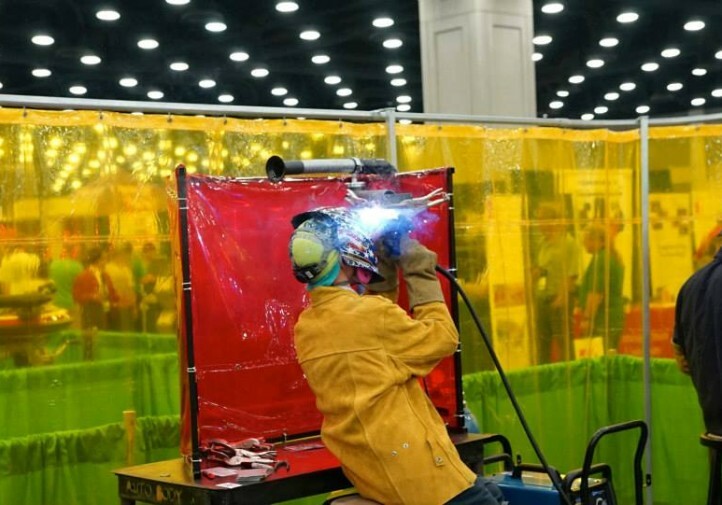 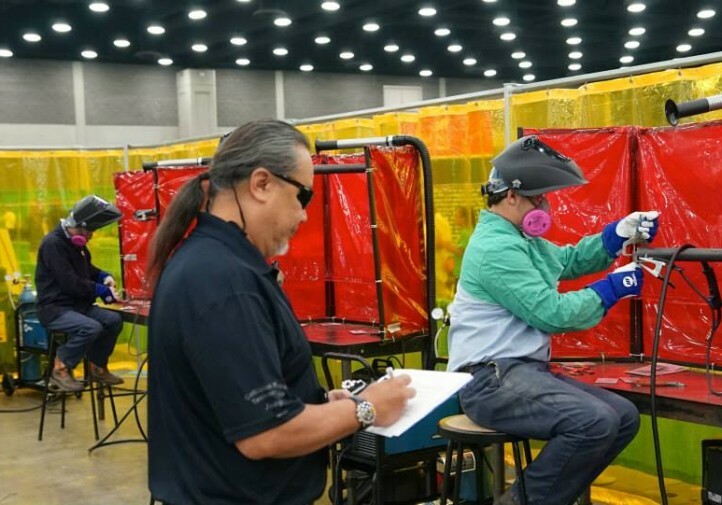 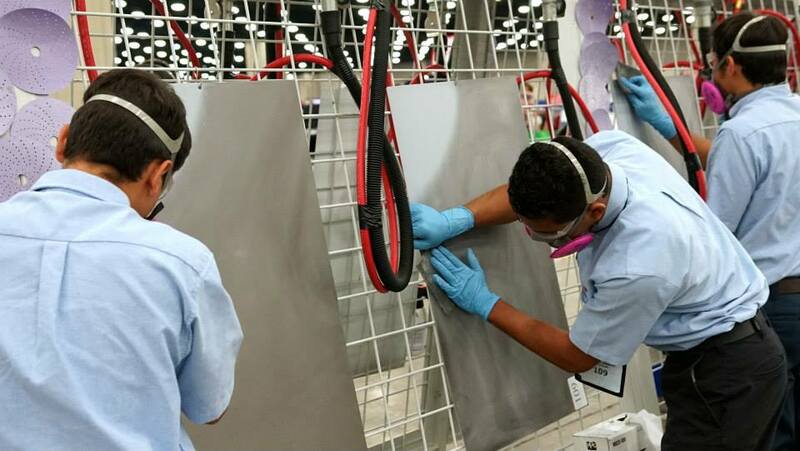 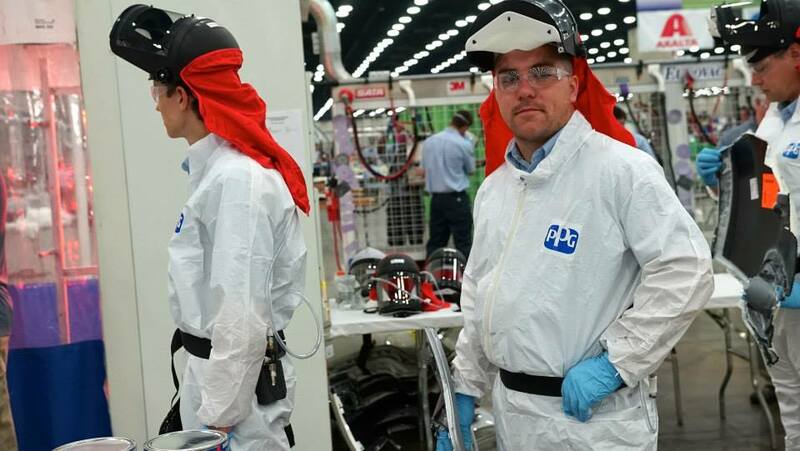 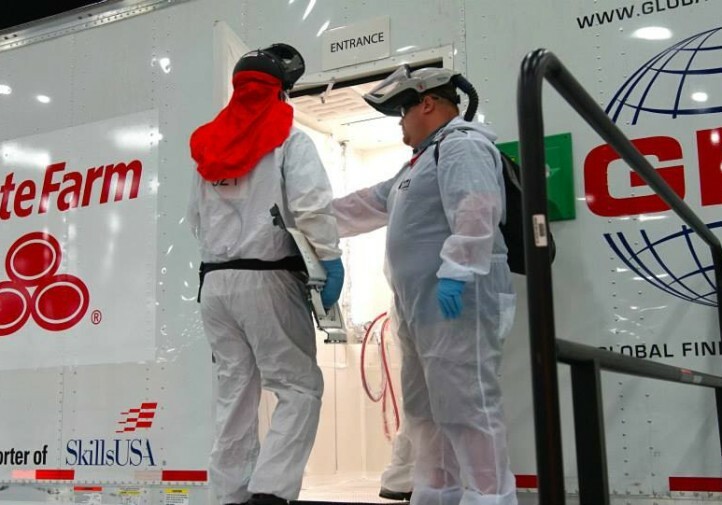 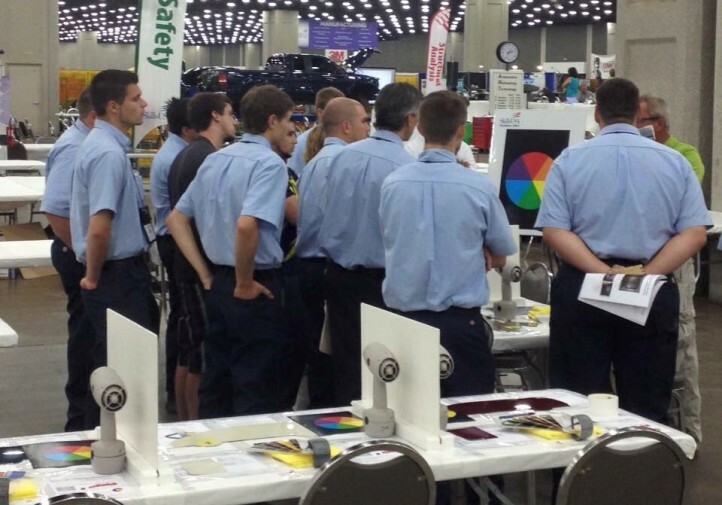 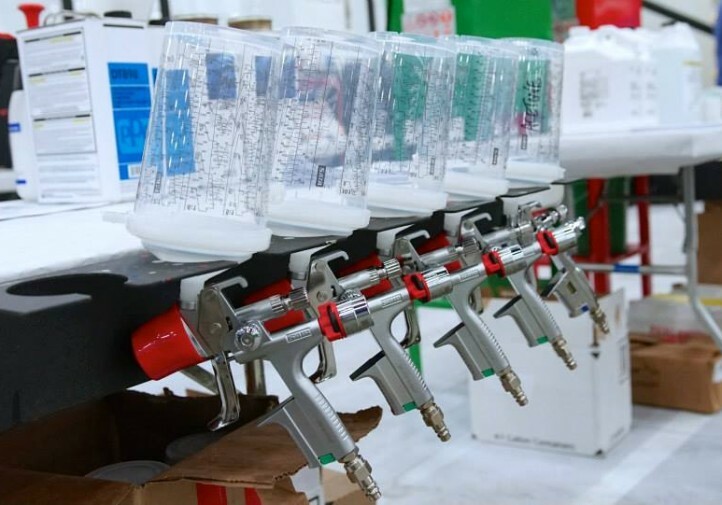 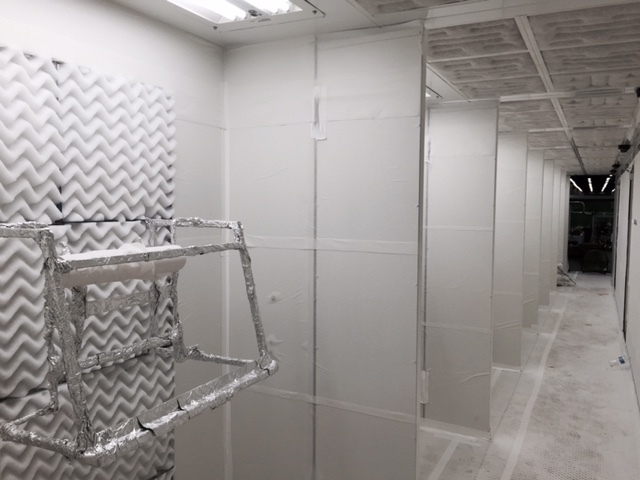 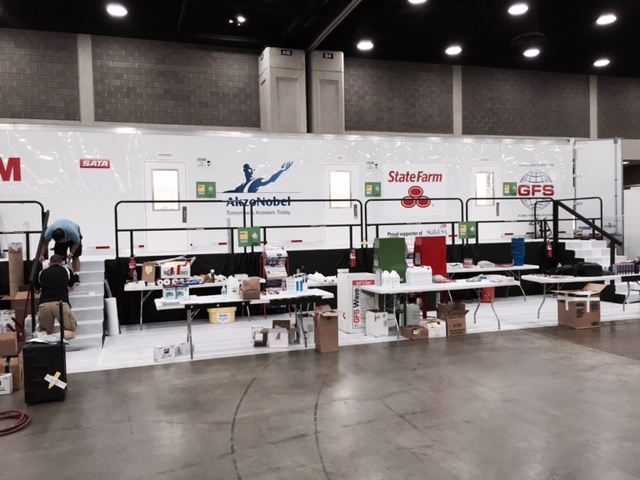 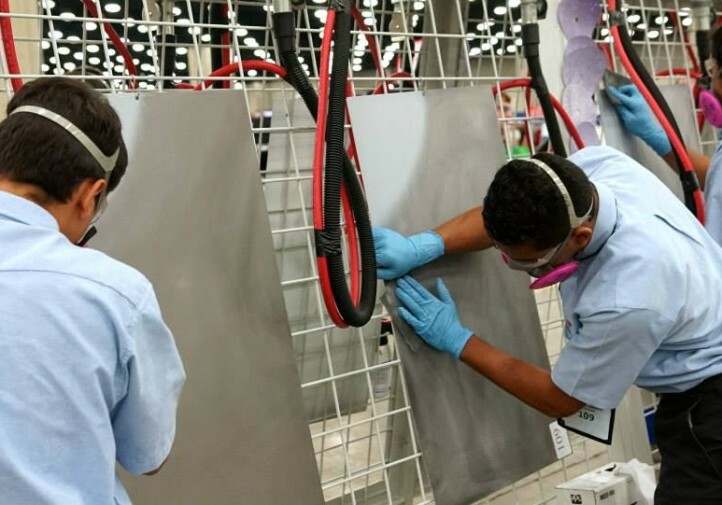 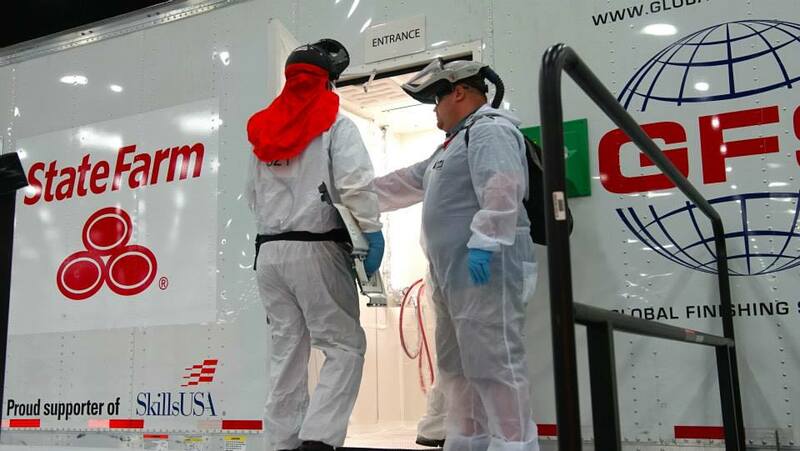 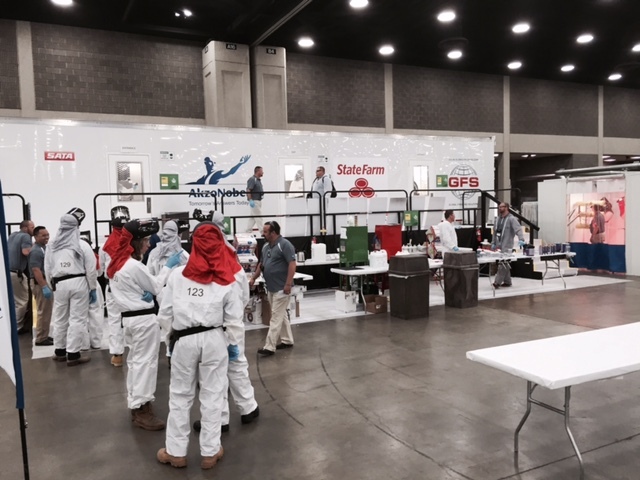 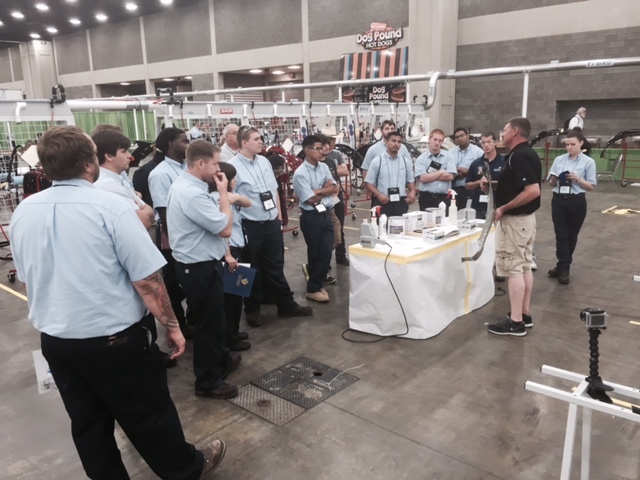 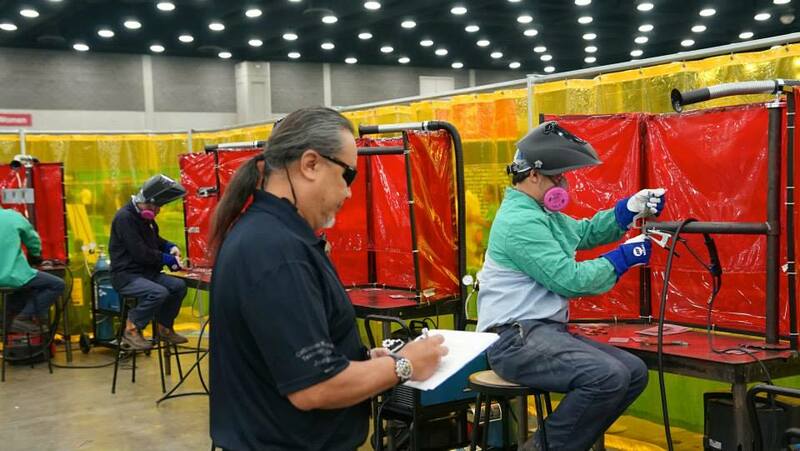 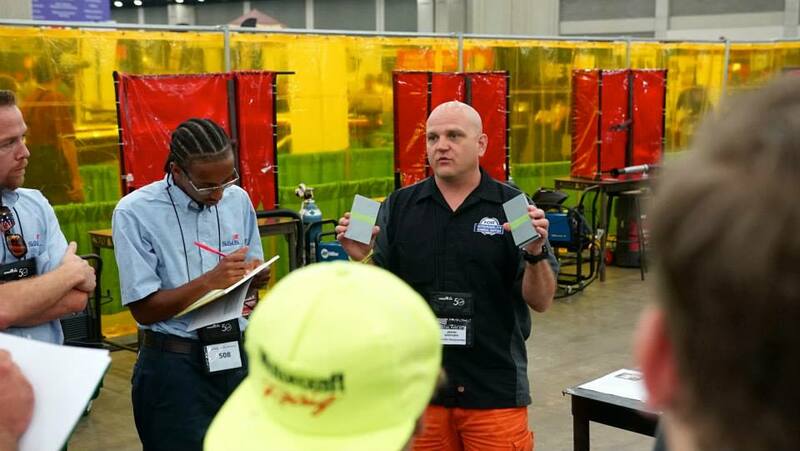 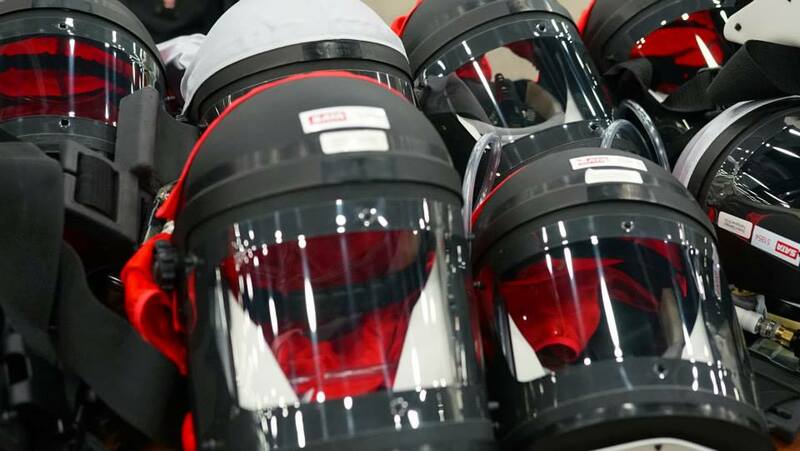 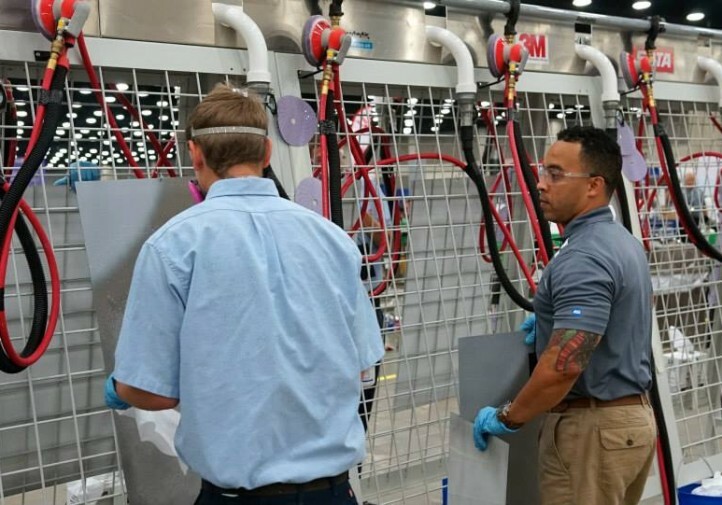 The competitors had to demonstrate paint mixing and matching, painting and spray gun use, surface preparatio, figuring out application problems and finish defects and prepare an estimate.